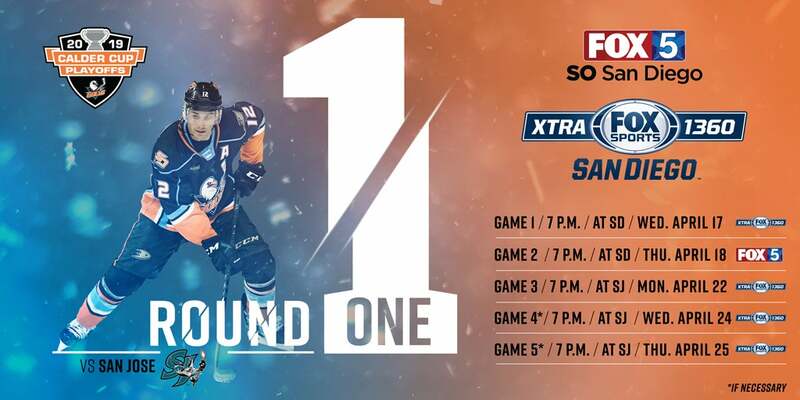 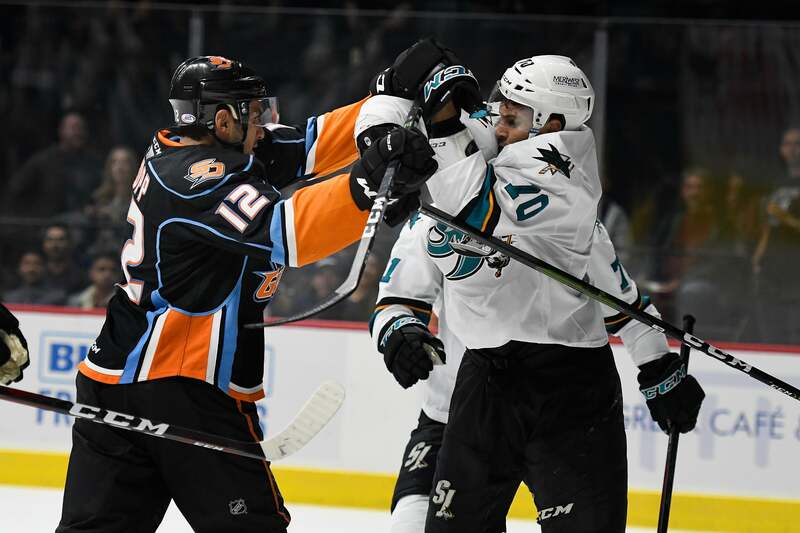 The Gulls fell 5-3 to the San Jose Barracuda in Game 2 of the First Round tonight at Pechanga Arena San Diego to knot the best-of-five series at 1-1. 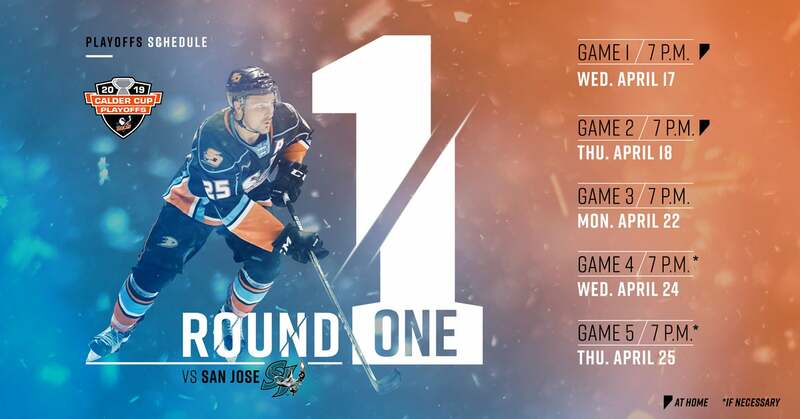 San Diego and San Jose meet for the second time in the Calder Cup Playoffs in a First Round, five-game series matchup. 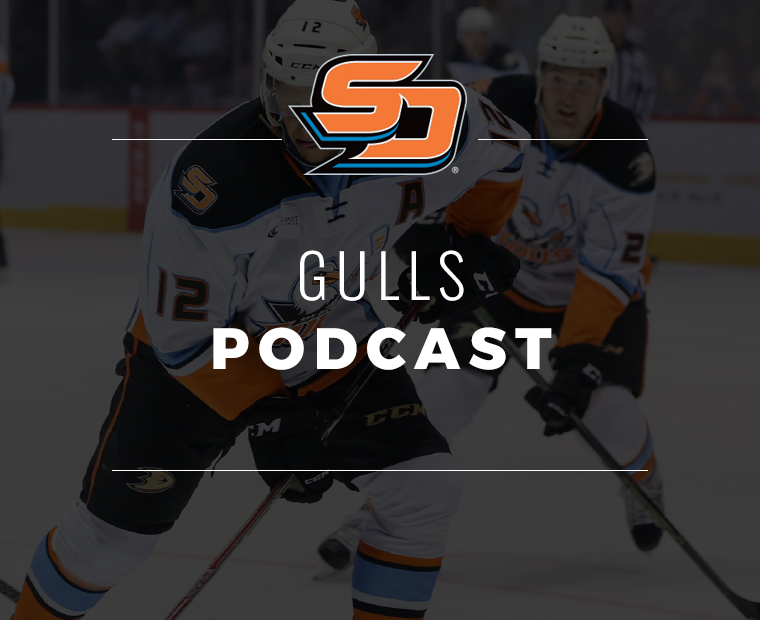 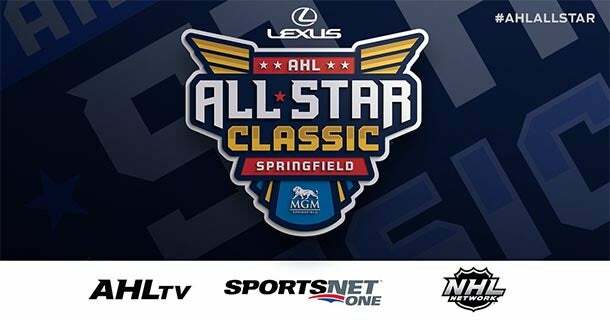 Gulls announce broadcast schedule for Round 1 of the Calder Cup Playoffs. 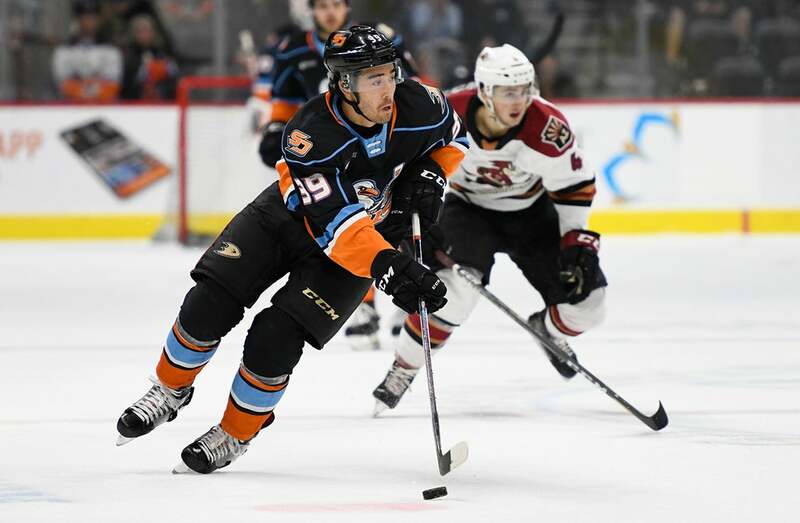 San Diego concluded its 2018-19 regular-season schedule with a 4-3 win over the Tucson Roadrunners to clinch third place in the Pacific Division to secure a matchup with the San Jose Barracuda. 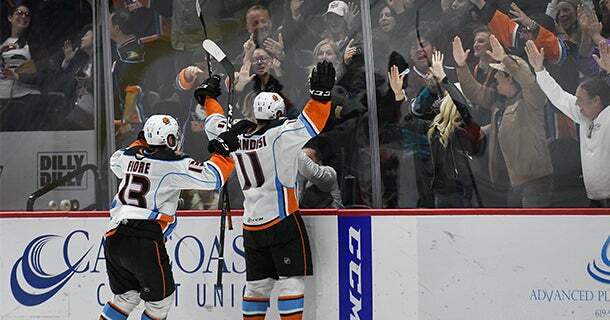 Tickets for the Gulls' First Round series on-sale to the general public Sunday at 10 a.m. 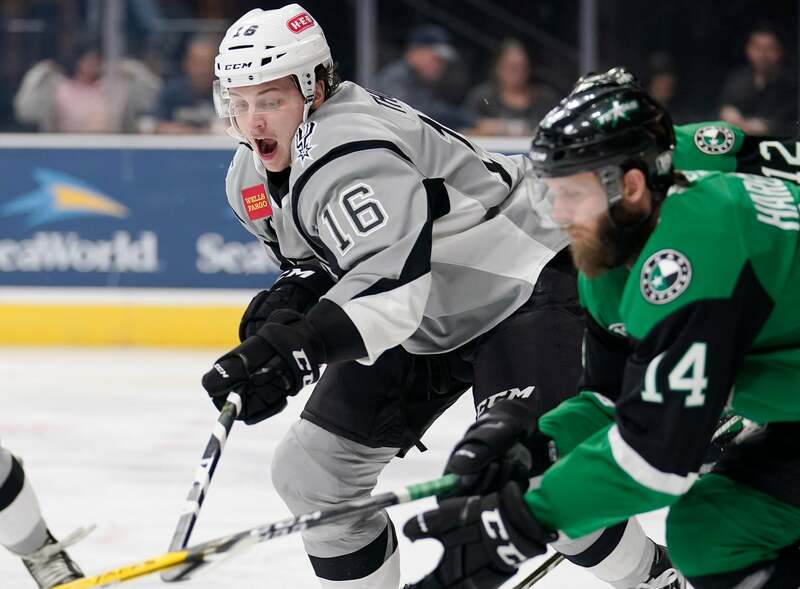 The 2019 Calder Cup Playoffs will begin the week of April 15. 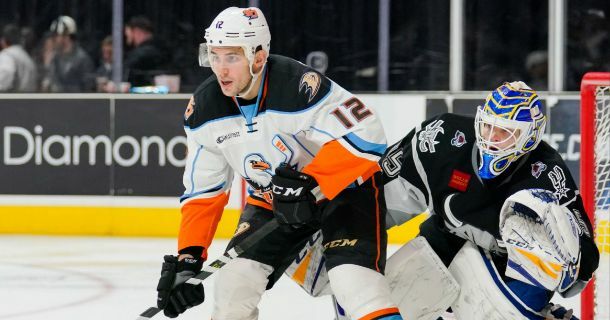 The San Diego Gulls have reassigned center Alex Dostie and defenseman Chris Forney to the Tulsa Oilers of the ECHL, and assigned goaltender Angus Redmond to the Jacksonville Icemen (ECHL). 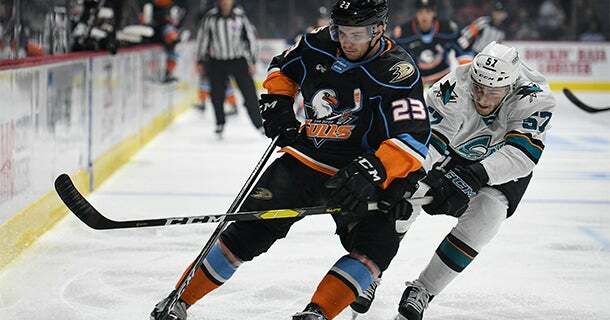 The Gulls have signed center Brent Gates Jr. and defenseman Steven Ruggiero to amateur tryout agreements. 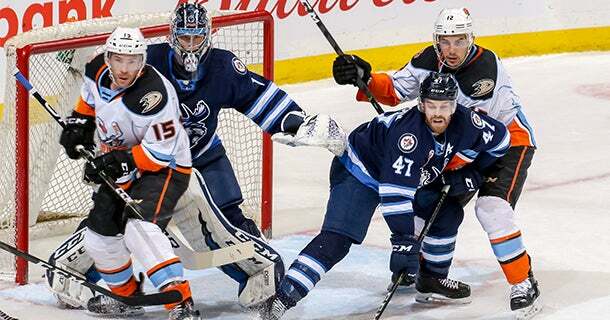 Southern California Native Returns to Winnipeg where his Professional Career Began with the Moose. 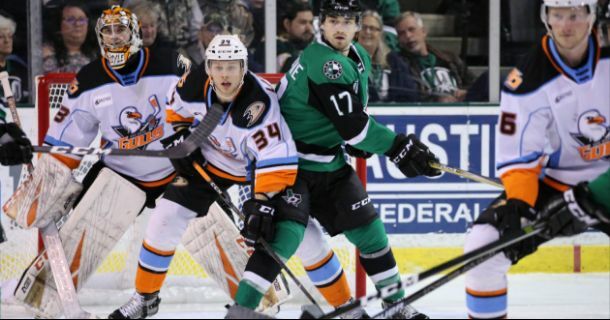 Forney joins San Diego after collecting 11 points in 31 games with the Tulsa Oilers of the ECHL. 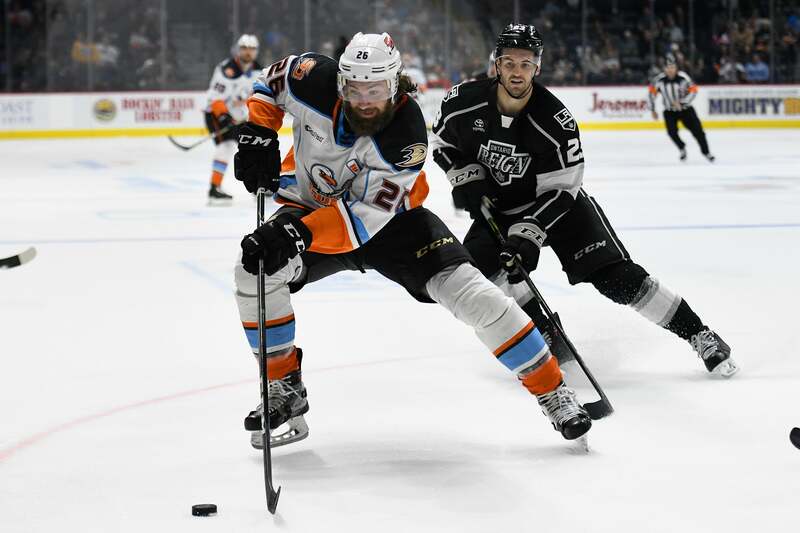 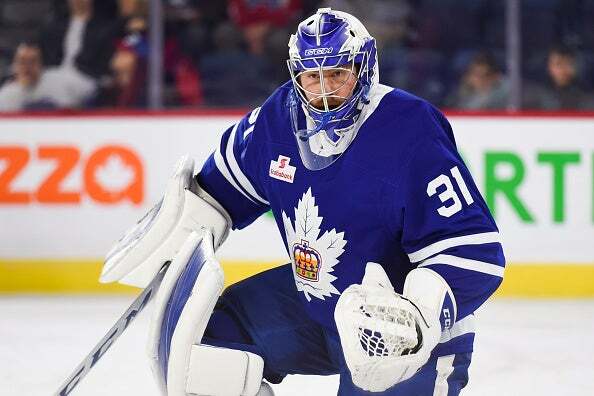 Forney has gone scoreless in six AHL games with San Diego since his professional debut in 2017-18. 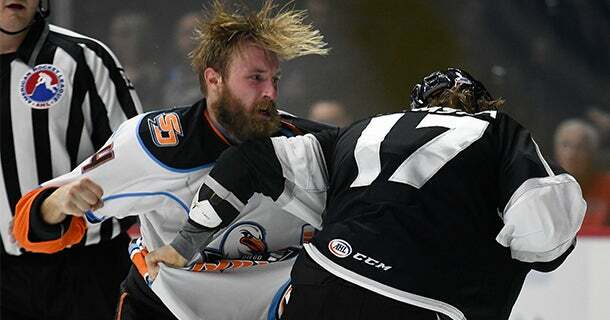 Sam Steel scores four points, including the overtime-winner, in a 5-4 Gulls win at the division-leading Bakersfield Condors. 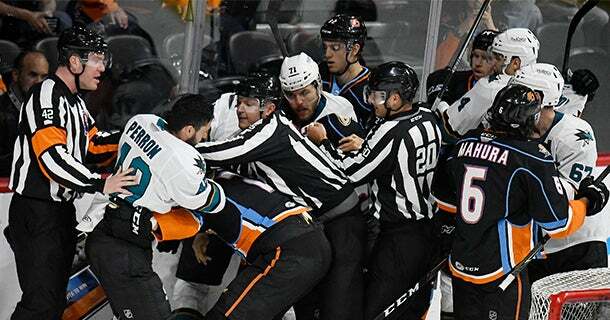 There was little to no love lost from last night’s matchup against the Eagles as gloves were dropped just over five minutes into the game. 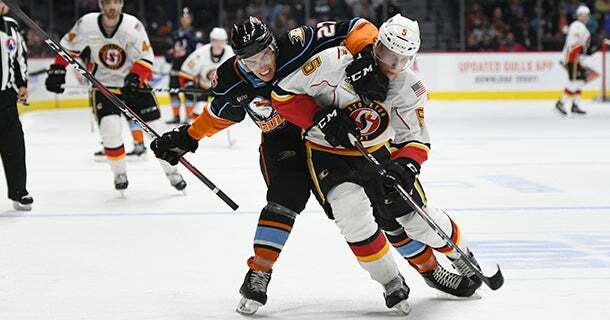 The Gulls have a record of 15-15-3-3 all-time record against the Heat. 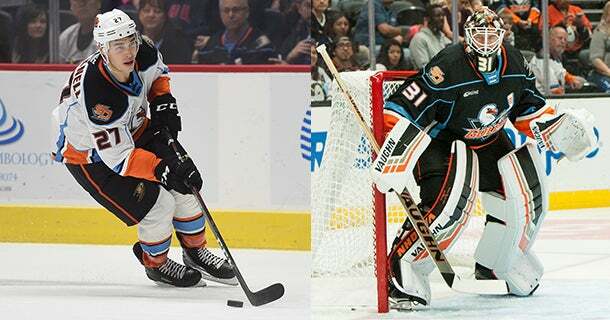 Larsson and Steel have combined for 52 games played in Anaheim this season. 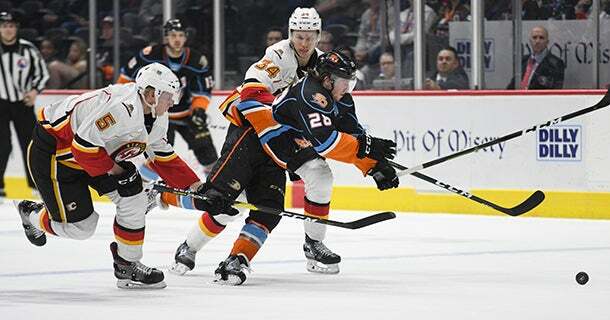 McParland appeared in four games with San Diego earlier this season, recording one goal with a +1 rating and two penalty minutes (PIM) after signing a PTO on Dec. 27. 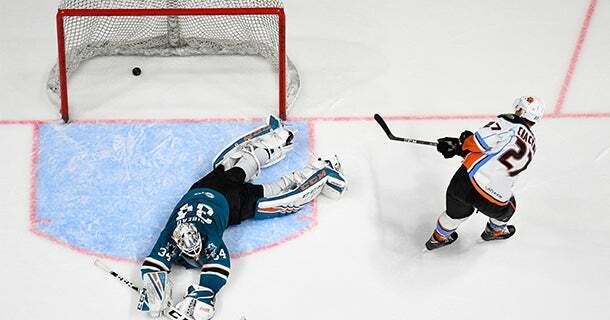 Roy has collected 6-1=7 points with a +3 rating and six penalty minutes (PIM) in 25 career NHL games with Anaheim. 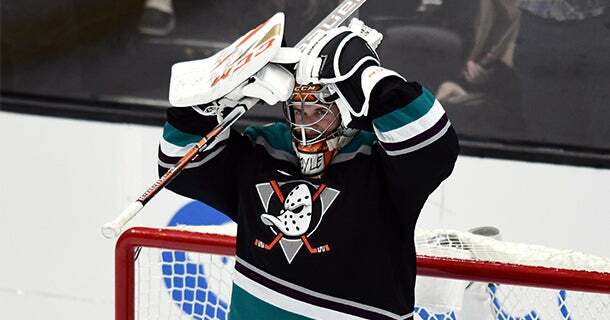 Boyle appeared in five games with the Ducks this season, posting a 1-3-0 record with a 2.17 goals-against average (GAA) and a .928 save percentage (SV%) with one shutout. 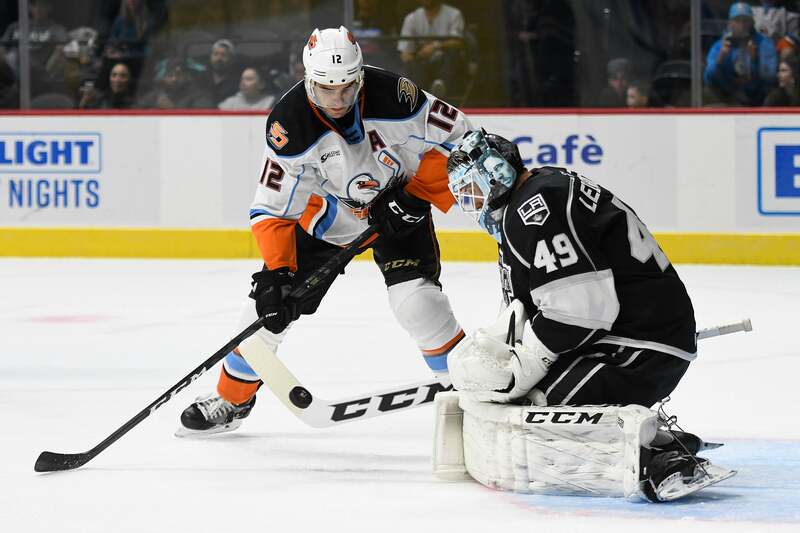 Redmond has posted a 2.85 goals-against average (GAA) and .909 save percentage (SV%) in two games with the Gulls this season. 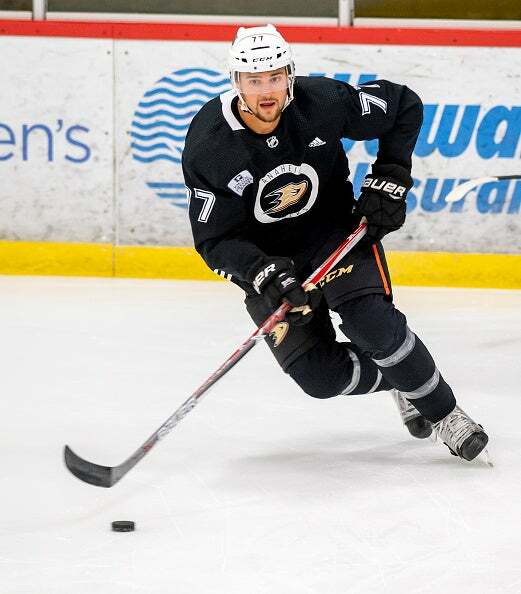 Sieloff joined the Gulls for his first practice with the team following his acquisition Sunday from the Ottawa Senators organization. 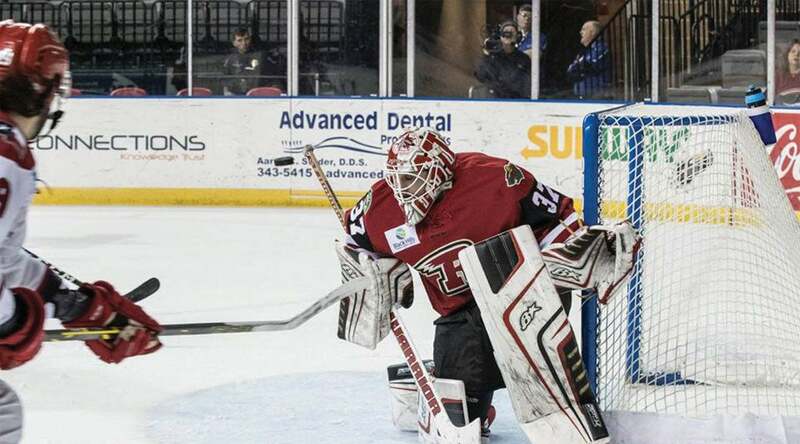 In his first professional season Frey went 7-14-3 in 29 ECHL games with Rapid City. 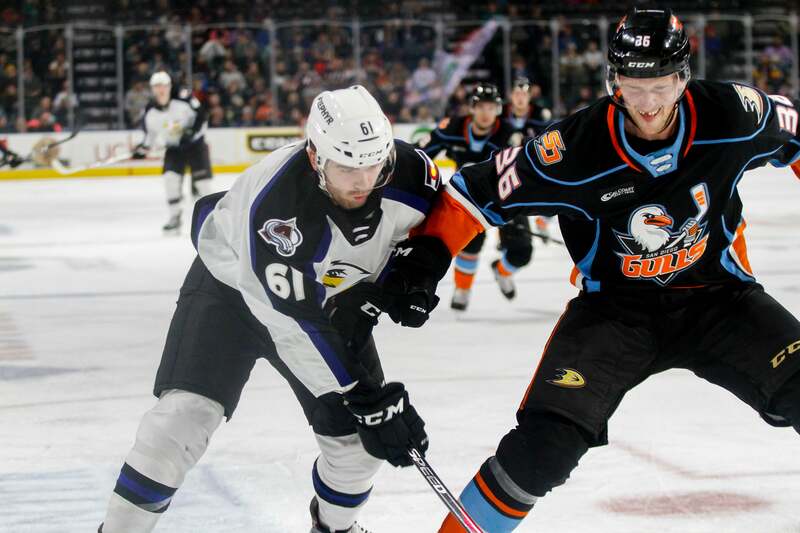 Ducks recall defenseman Korbinian Holzer and goaltender Angus Redmond from San Diego. 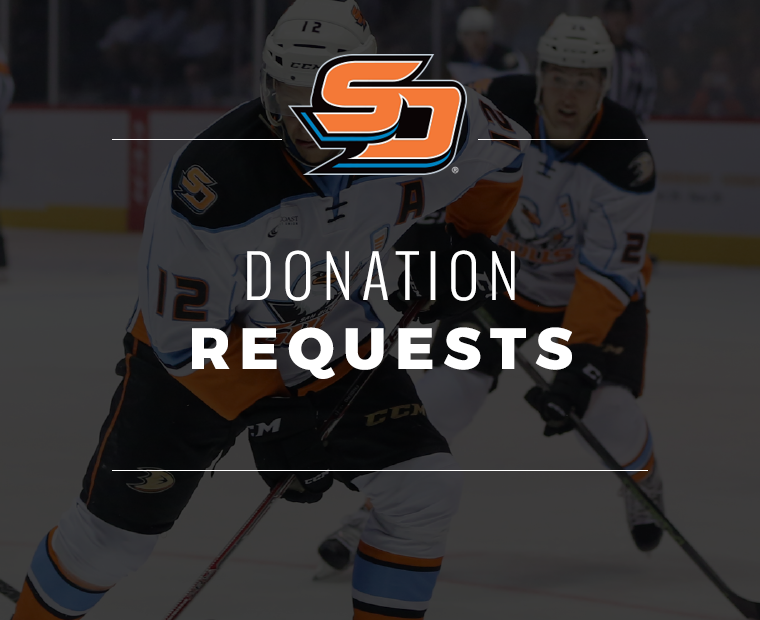 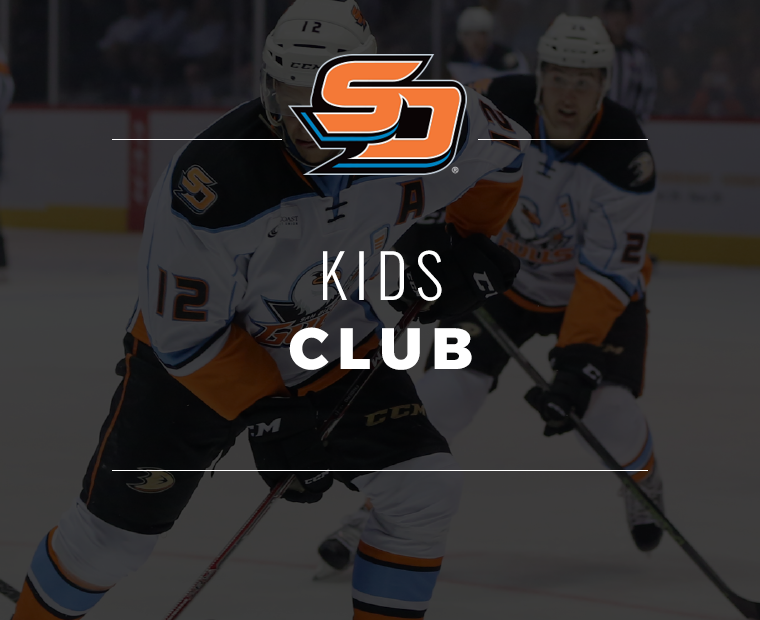 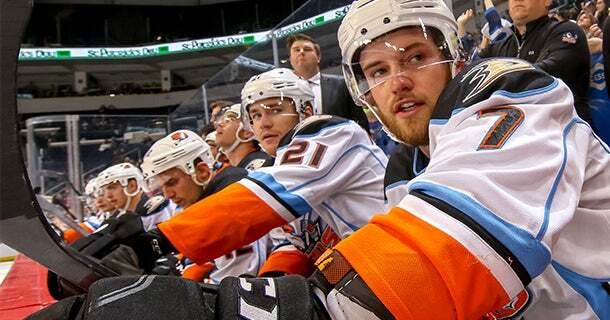 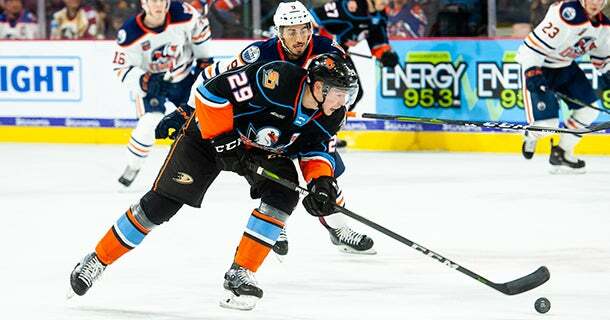 In addition, Anaheim has reassigned center Sam Steel and defenseman Andy Welinski to San Diego. 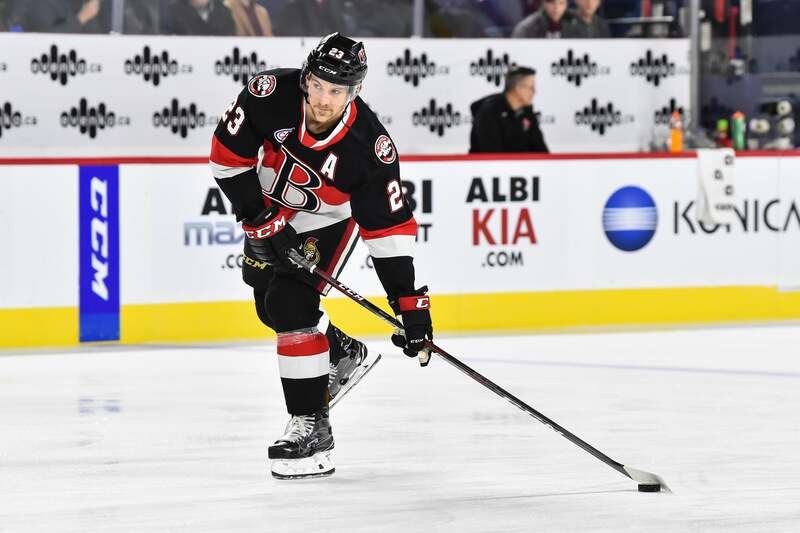 The Anaheim Ducks have acquired defenseman Patrick Sieloff from the Ottawa Senators in exchange for left wing Brian Gibbons. 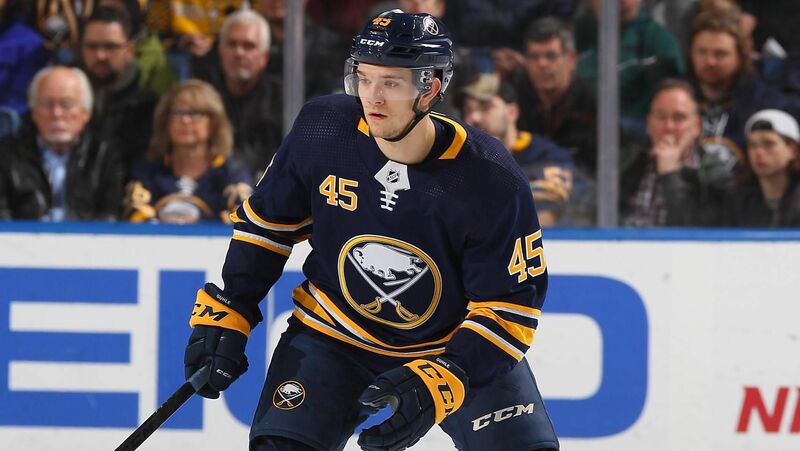 The Anaheim Ducks have acquired defenseman Brendan Guhle and a first-round selection in the 2019 NHL Draft from the Buffalo Sabres in exchange for defenseman Brandon Montour. 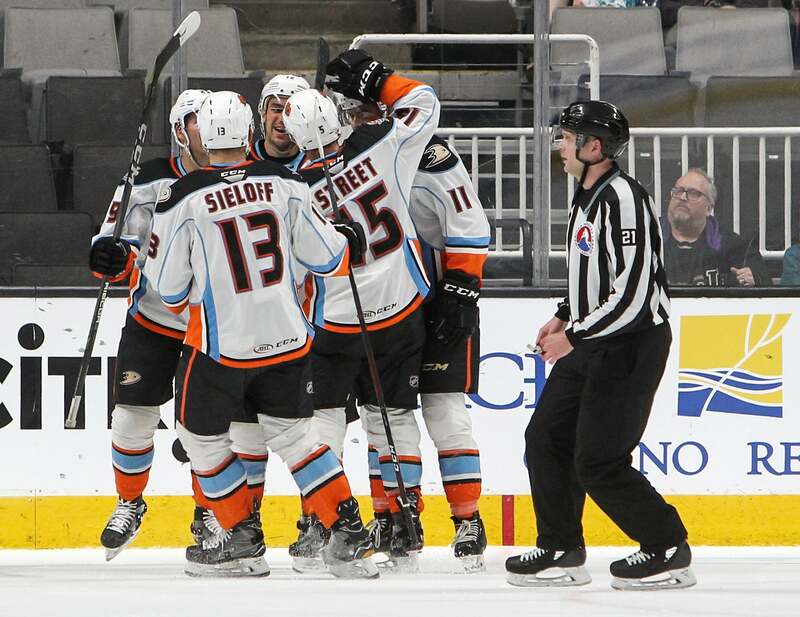 Steel has collected 1-2=3 points in 13 games with the Ducks this season. 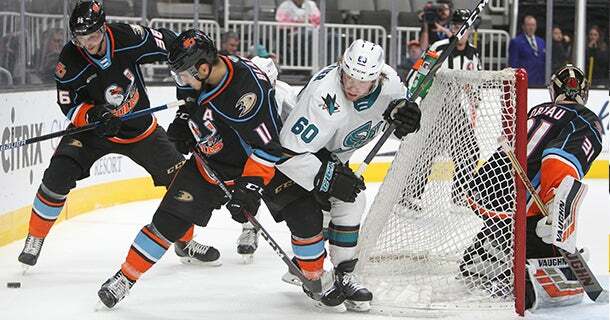 Eaves appeared in seven games with the Ducks this season, going scoreless. 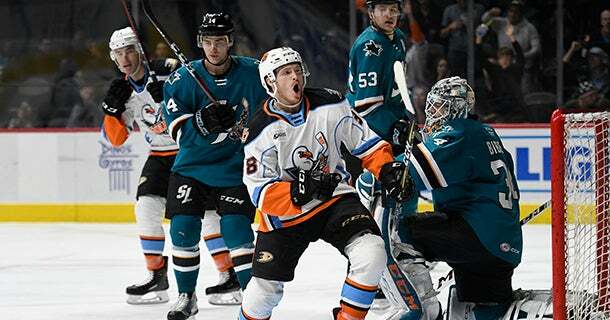 Kevin Boyle’s first taste of the NHL is a week to remember with his first NHL start, win and shutout for the Anaheim Ducks. 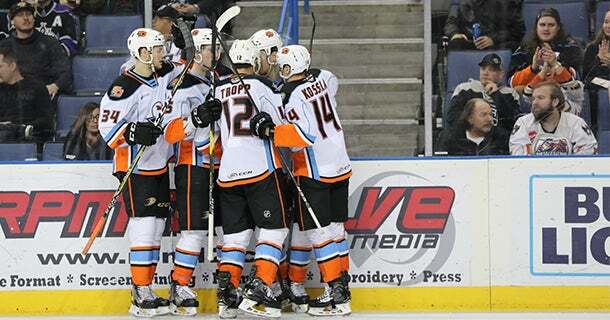 Gulls conclude a club record long six-game, 11-day road trip today against the San Jose Barracuda at SAP Center. 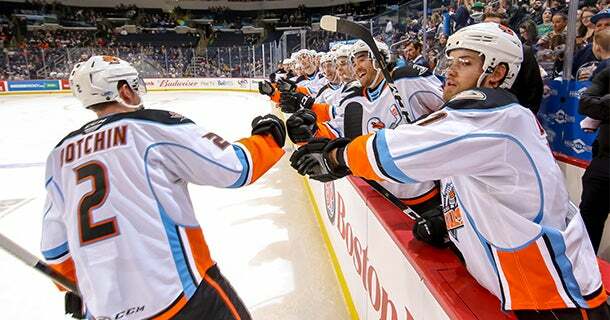 15 different San Diego players recorded a point as the Gulls defeated the San Jose Barracuda 8-3 today at SAP Center. 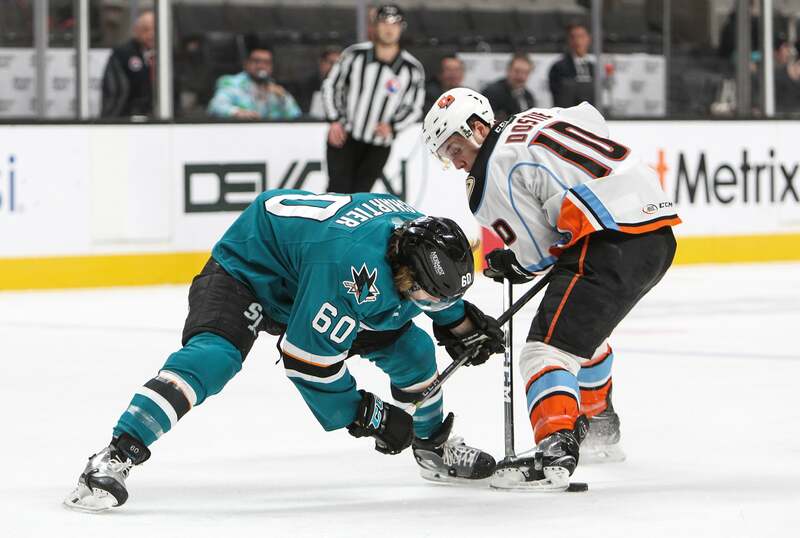 Roy collected 6-1=7 points with a +3 rating and six penalty minutes (PIM) in 25 games with Anaheim last season. 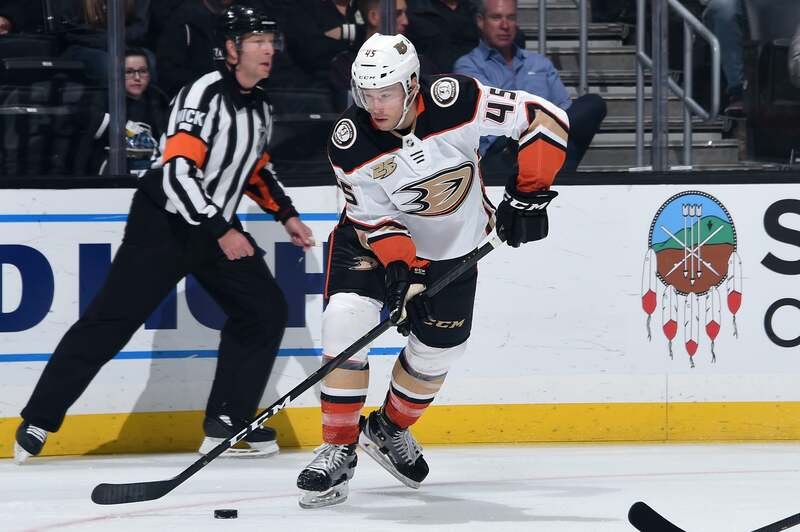 Terry has collected 1-1=2 points in 10 games with the Ducks in 2018-19. 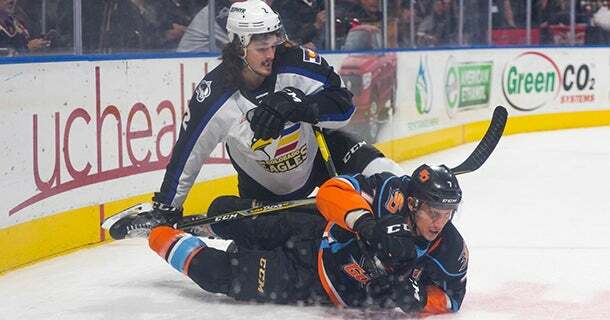 Three goals in the final six minutes of regulation earn the Gulls a point. 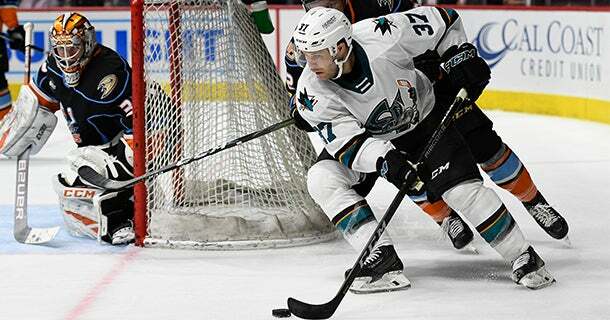 Jones earned 14-14=28 points with a +10 rating and 48 penalty minutes (PIM) in 40 games in San Diego. 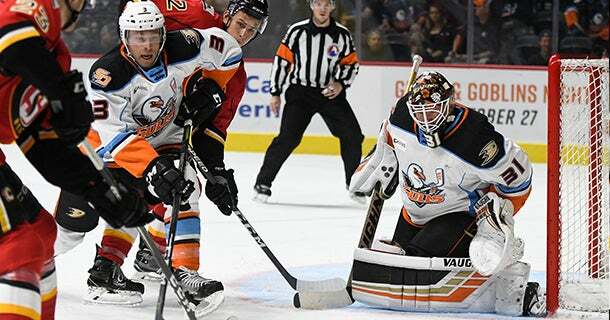 Jeff Glass made 29 saves to backstop San Diego to a 2-1 victory over the Colorado Eagles while Chase De Leo and Corey Tropp tallied goals in the win. 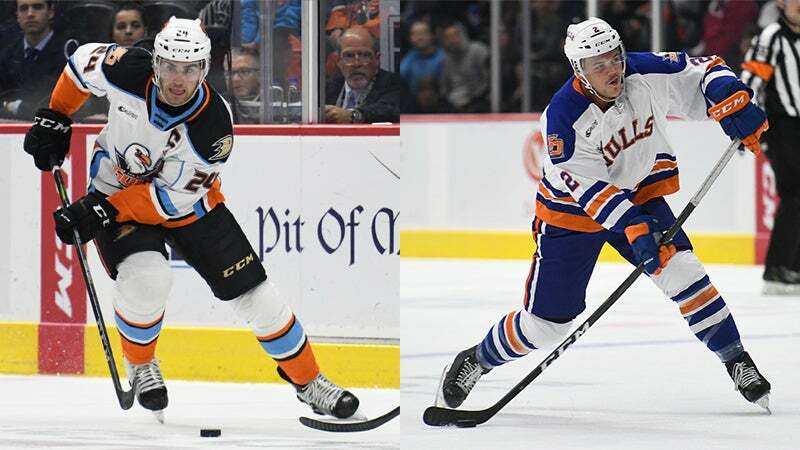 The two players will meet the team for their games in Colorado. 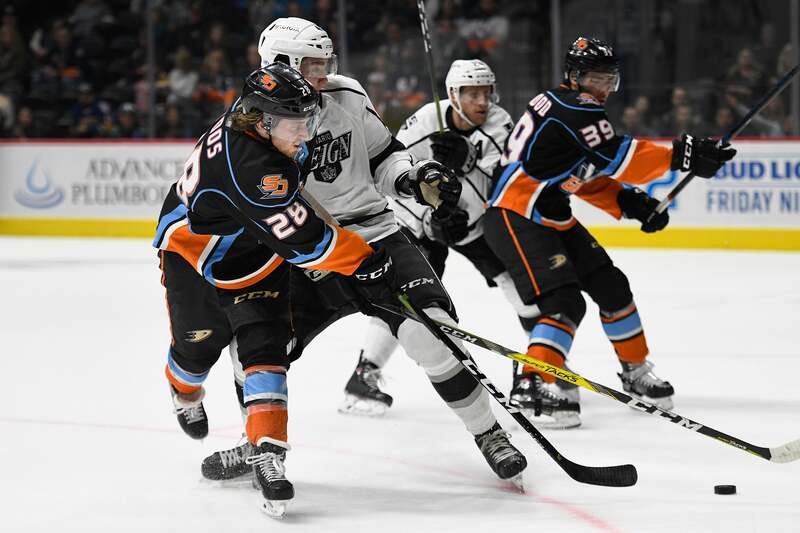 AHL's two hottest teams match up tonight at Rabobank Arena with the Gulls 17-3-1-2 their last 23 games and the Condors riding a league best 11-game win streak. 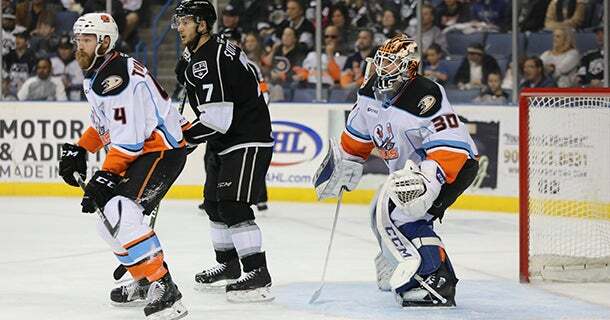 Boyle has gone 19-7-1 with a 2.72 goals-against average (GAA) and .909 save percentage (SV%) in 30 games this season with San Diego. 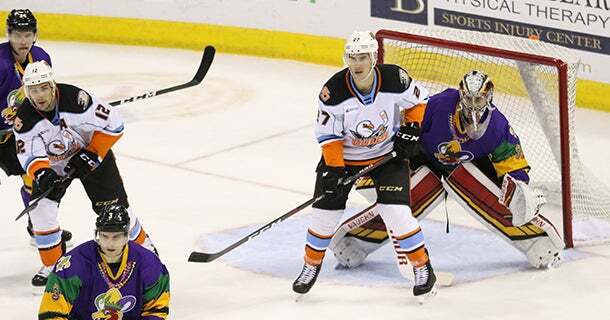 Redmond has posted a 5-5-6 record in 17 ECHL appearances with South Carolina and the Reading Royals this season. 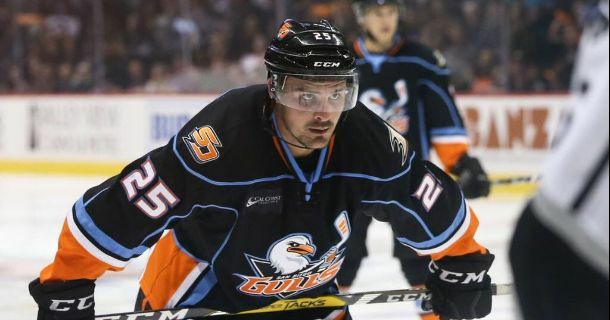 Forney has appeared in three contests with the Gulls this season. 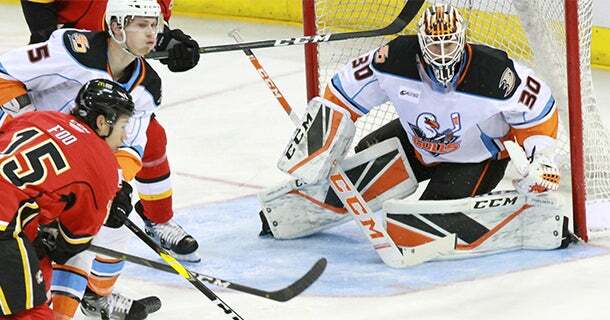 Welinski has recorded 6-7=13 points with a +4 rating in 18 AHL games with San Diego this season. 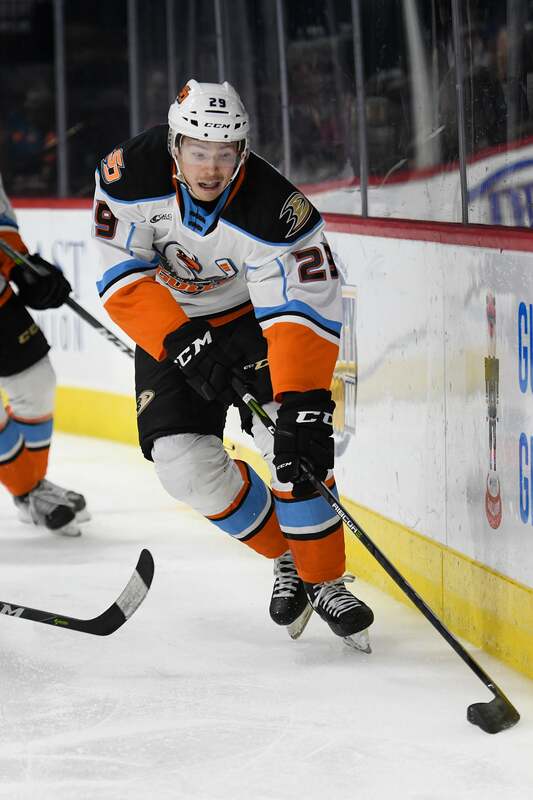 Dostie recorded 1-2=3 points with six penalty minutes (PIM) in 29 games with the Gulls this season. 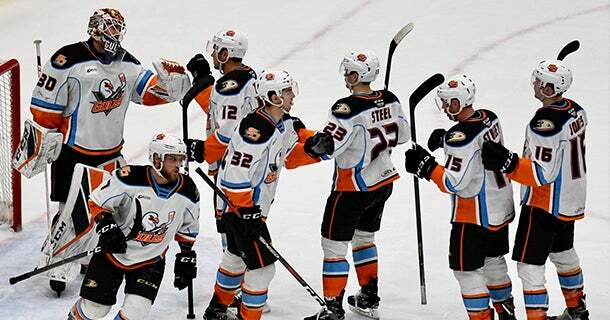 Tonight, the Gulls honor their parent team and celebrate the 25th anniversary of the Anaheim Ducks in the National Hockey League. 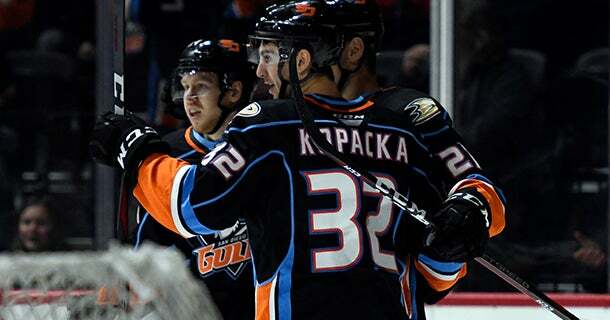 Megna earned 2-11=13 points with a +9 rating and 14 PIM in 35 games with San Diego this season. 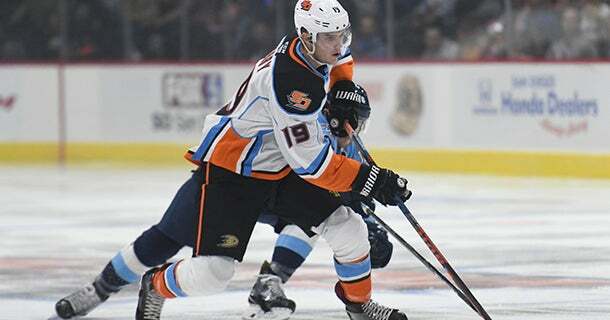 Troy Terry's search for offense found during development period with the Gulls in San Diego. 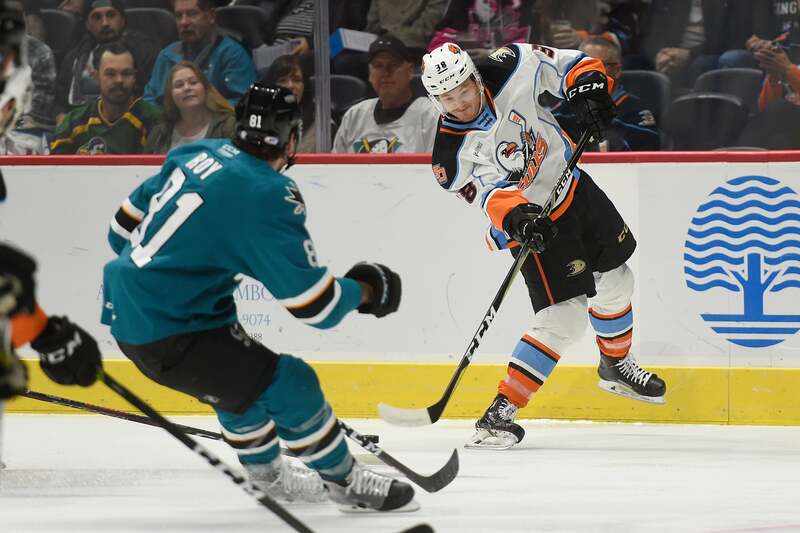 Gulls visit San Antonio for the lone time this season with a 10-game road point streak and points in 16 of their last 17 games overall. 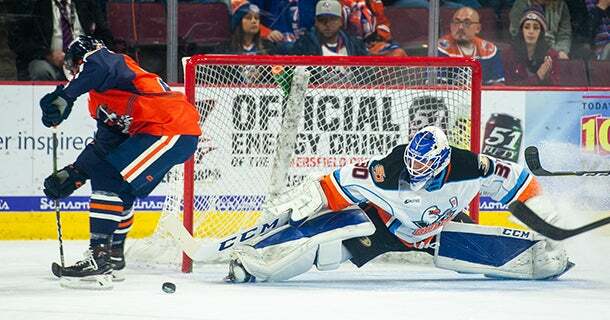 Boyle has posted a 16-6-1 record with a 2.84 goals-against average (GAA) and .909 save percentage (SV%) in 26 games this season. 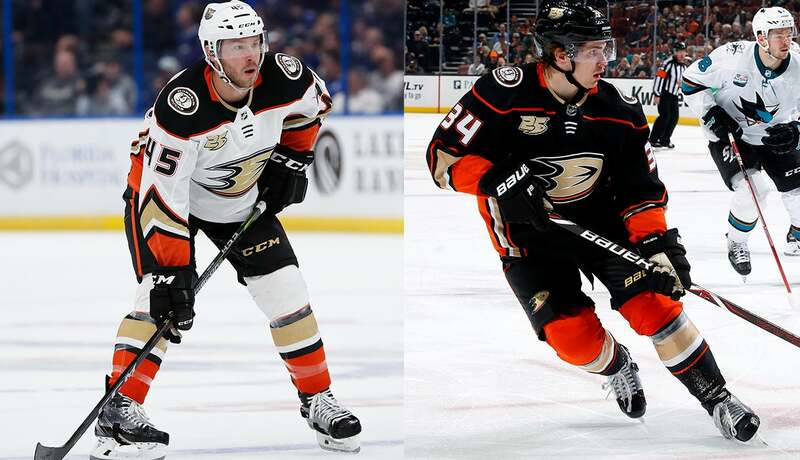 Ducks recall Holzer and Dotchin, assign Terry, Jones, Carrick, Welinski, Larsson and Sustr to San Diego. 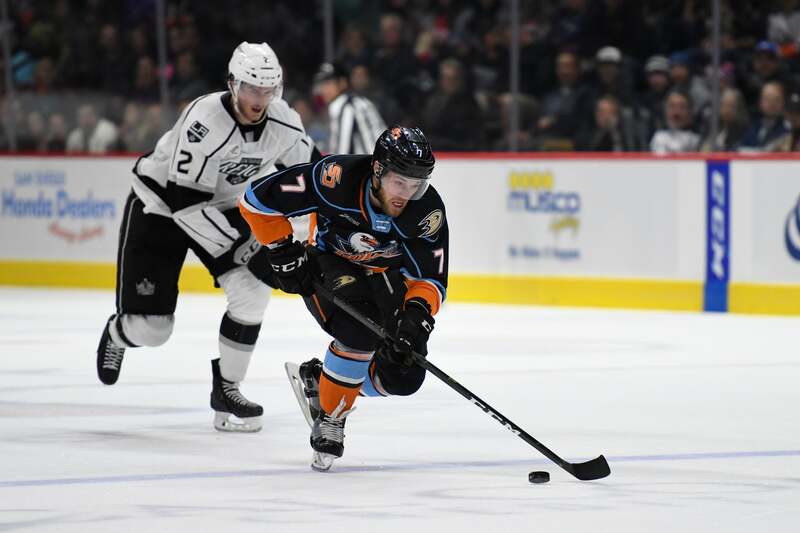 Carrick earned 20-18=38 points with a +8 rating in 33 games with San Diego this season to lead the team in goals and scoring. 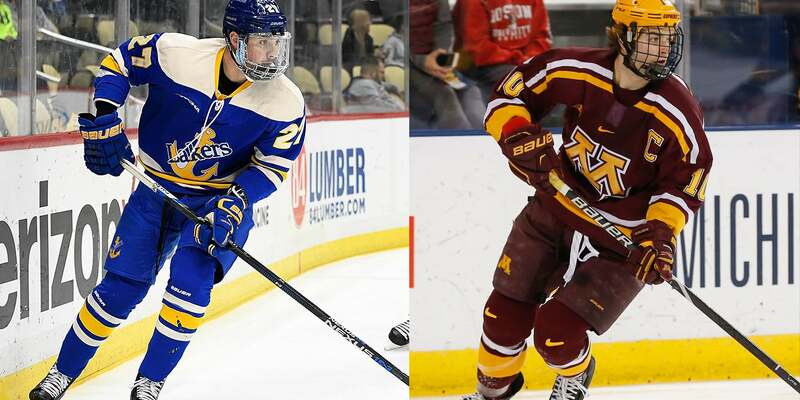 Centers Sam Carrick and Justin Kloos assigned by Anaheim to San Diego. 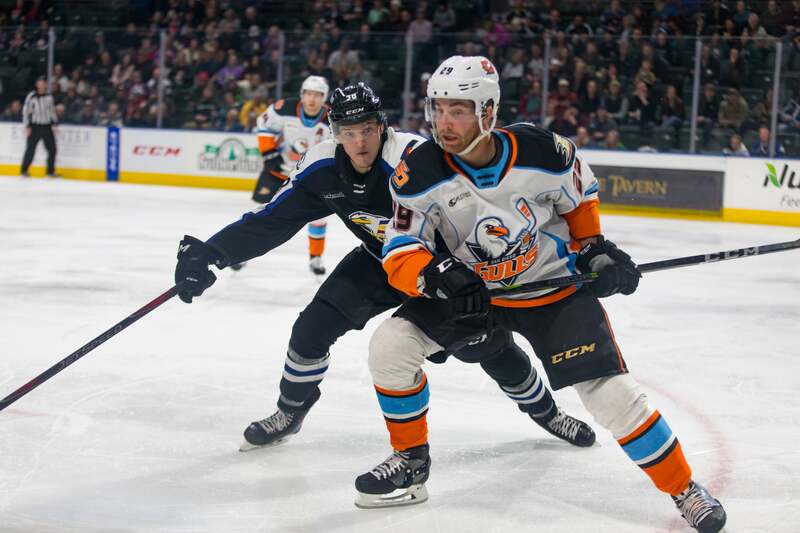 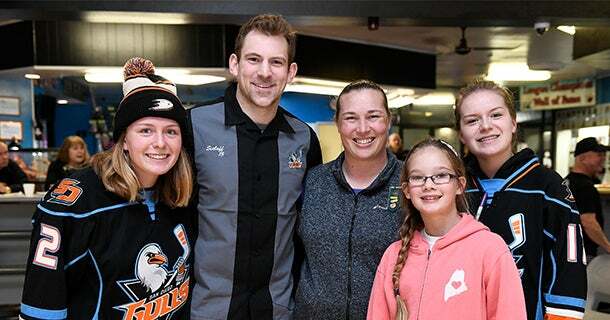 Gulls visit Reign today for afternoon contest in a matchup of Southern California rivals beginning at 3 p.m.
Matt Berry signs one-year contract after scoring 13 points in 16 games during a professional tryout. 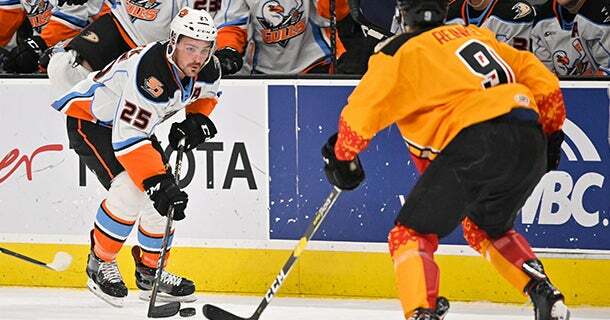 Carrick earned 20-17=37 points with a +8 rating in 32 games with San Diego this season. 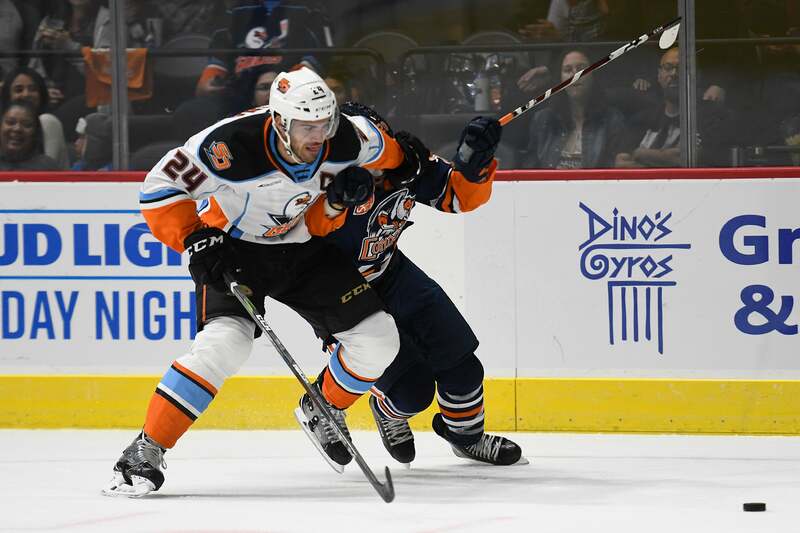 The Gulls enter tonight’s contest vs. the Bakersfield Condors with a club record 15-game point streak at Pechanga Arena San Diego (7 p.m., Mighty 1090). 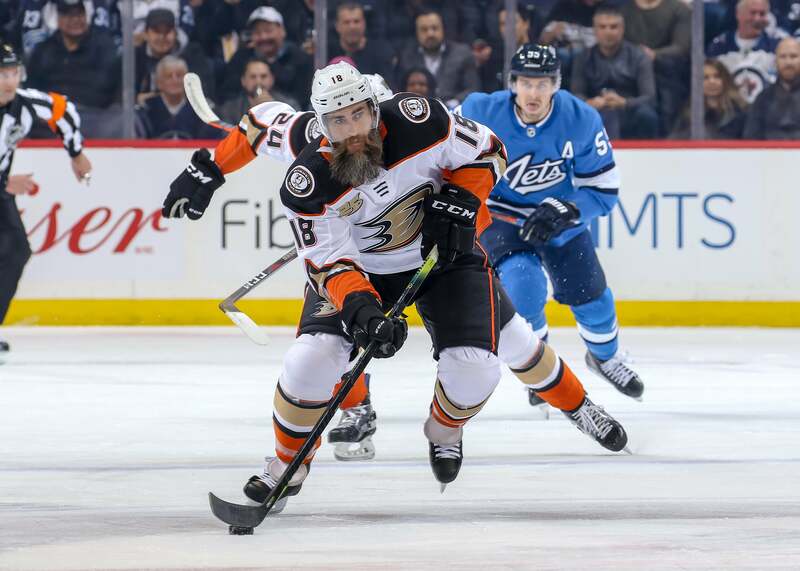 Grant has earned 14-22=36 points in 177 career NHL games with Ottawa, Calgary, Buffalo, Nashville, Anaheim and Pittsburgh. 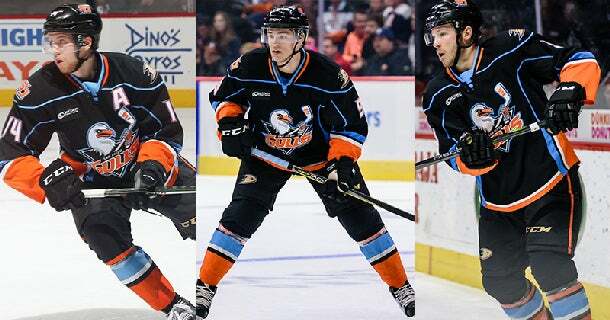 Ducks recall Terry, Jones and Sustr; assign Sherwood and Dotchin to San Diego. 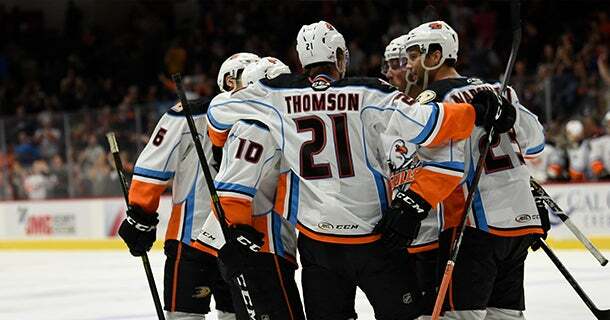 The Gulls enter tonight looking to extend a club record 14-game point streak (11-0-1-2), the longest point streak in the AHL. 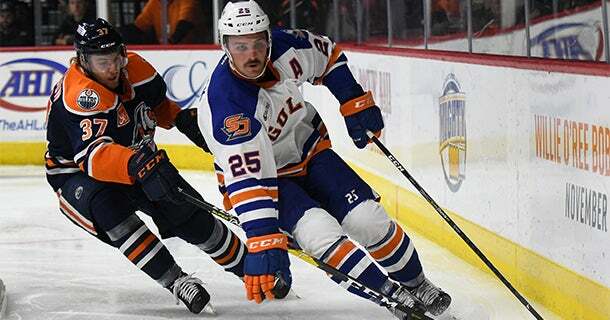 Carrick posted back-to-back three-point games last week, totaling two goals and four assists. 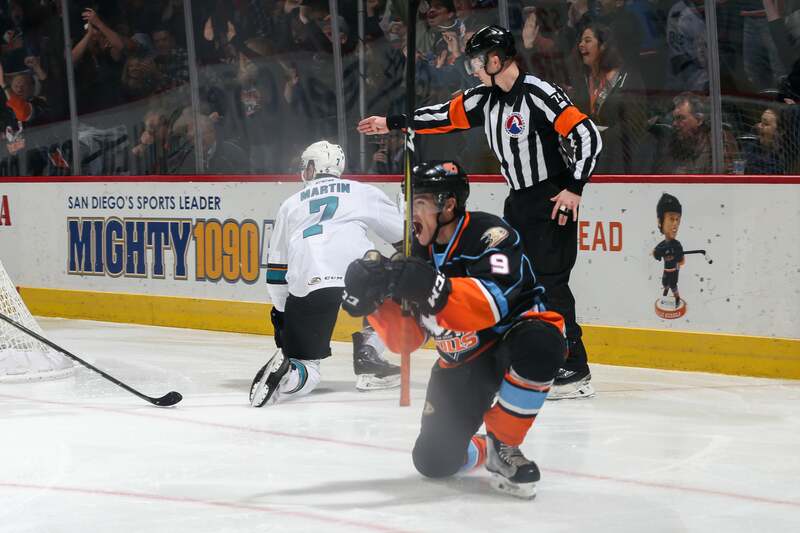 The Gulls broke and tied franchise records with a 13-game point streak, which set a new club record and won their eighth straight game to tie a club best. 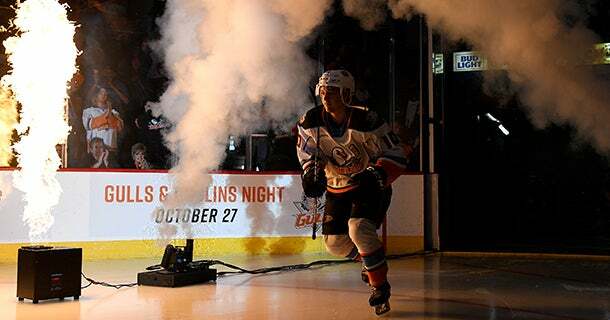 Both streaks are the longest current such streaks in the AHL. 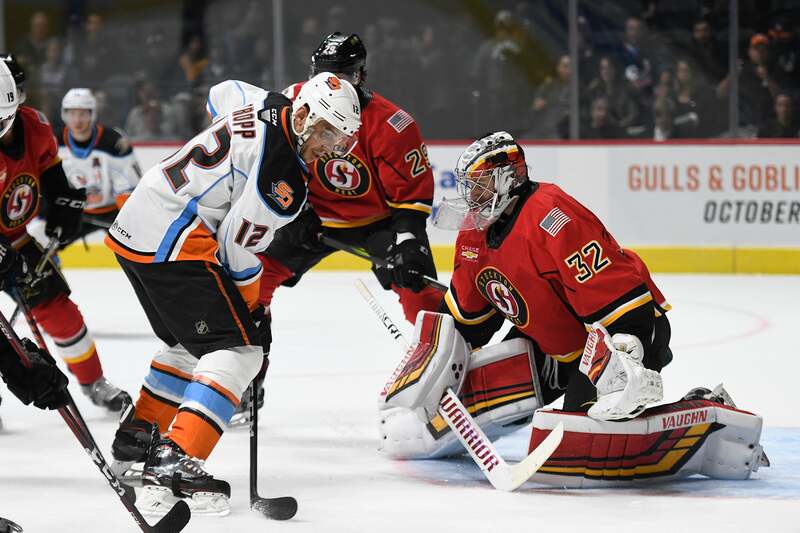 The Gulls (18-11-1-3) enter tonight with a season-high seven consecutive wins and points in a club record-tying 12 straight games (10-0-0-2), both the longest current such streaks in the AHL. 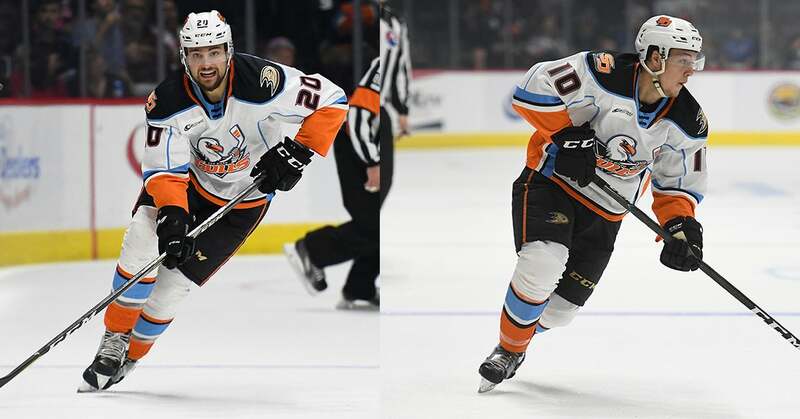 The two have played a combined 38 games for the Anaheim Ducks this season. 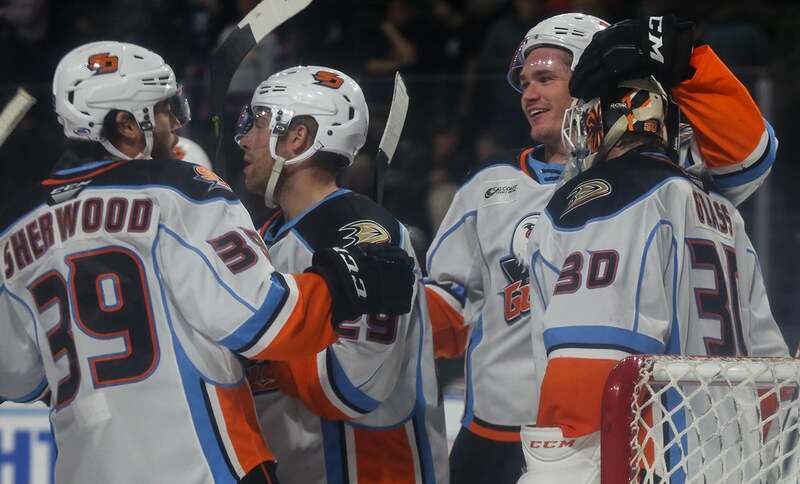 San Diego heads to Stockton for its first meeting with their division rival since Nov. 25, a 6-3 road win for the Gulls. 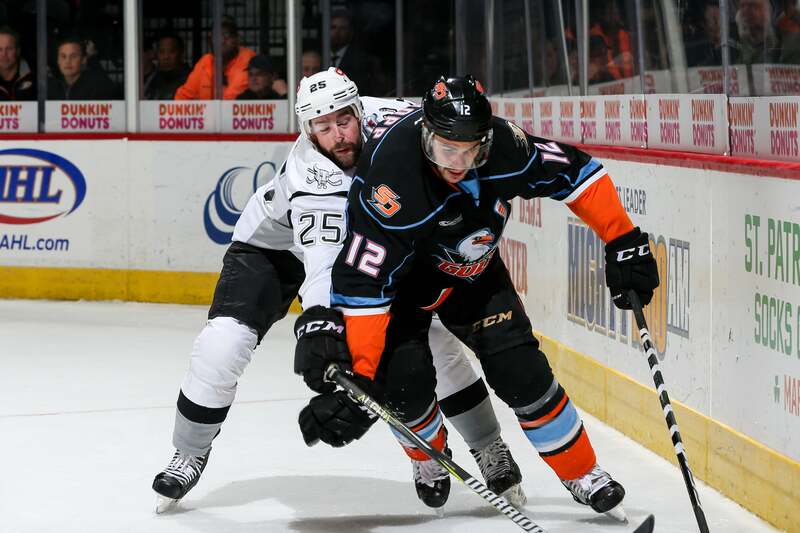 Thomas has five games of AHL experience with the San Antonio Rampage. 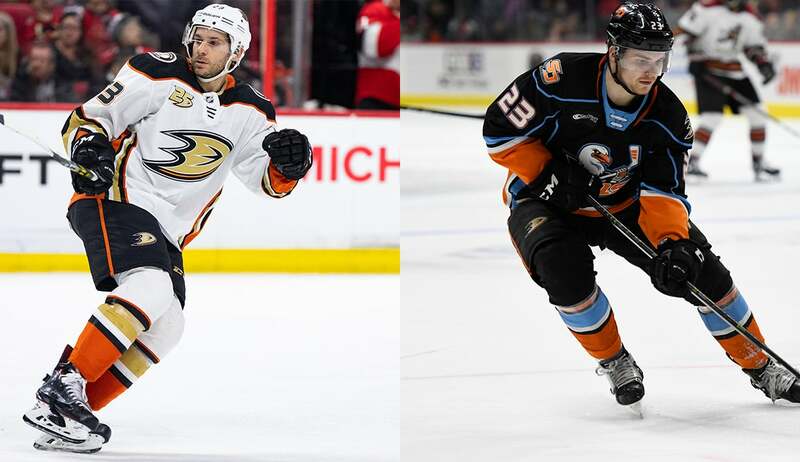 Dotchin and Street have played a combined 37 games for the Anaheim Ducks this season. 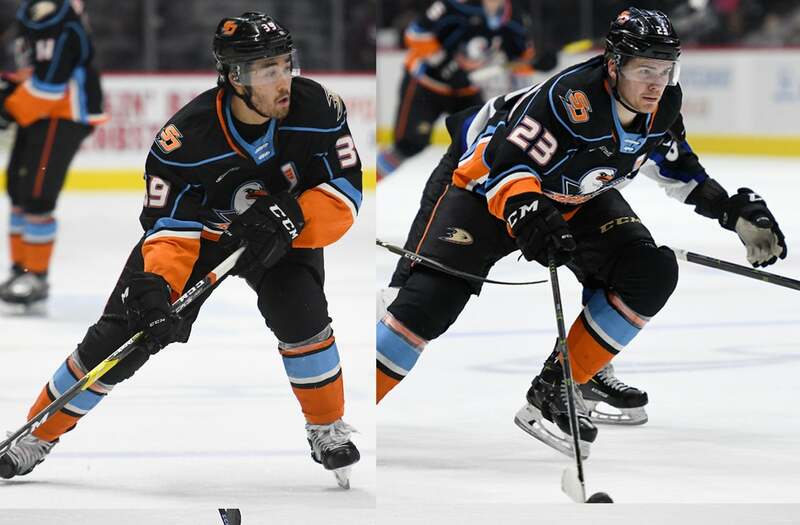 Anaheim Ducks assign center Ben Street, and defensemen Korbinian Holzer and Jake Dotchin to San Diego. 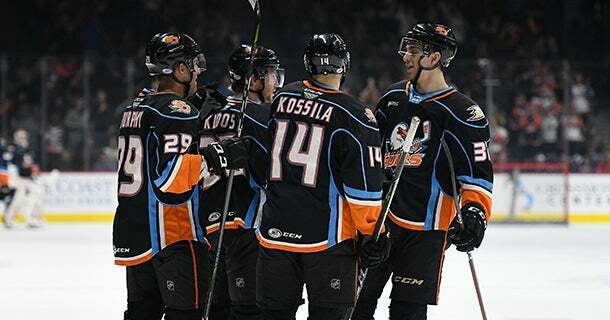 Sixth straight win extends Gulls standings point streak to 11 games (9-0-0-2). 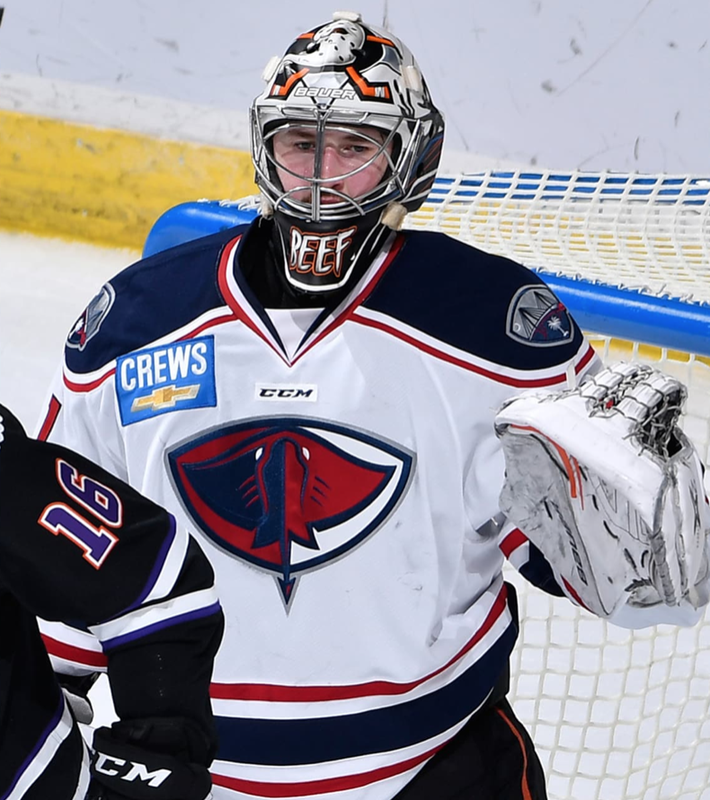 Kevin Boyle's 31-save performance marks his eighth straight victory while Sam Steel, Troy Terry, Sam Carrick and Matt Berry each recorded two points. 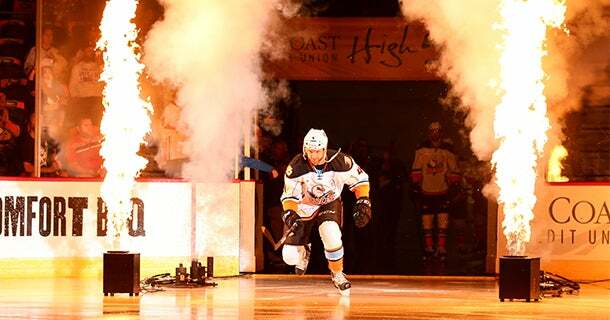 The Gulls enters tonight with points in a season-high 10 consecutive games (8-0-0-2), the longest current standings point streak in the AHL. 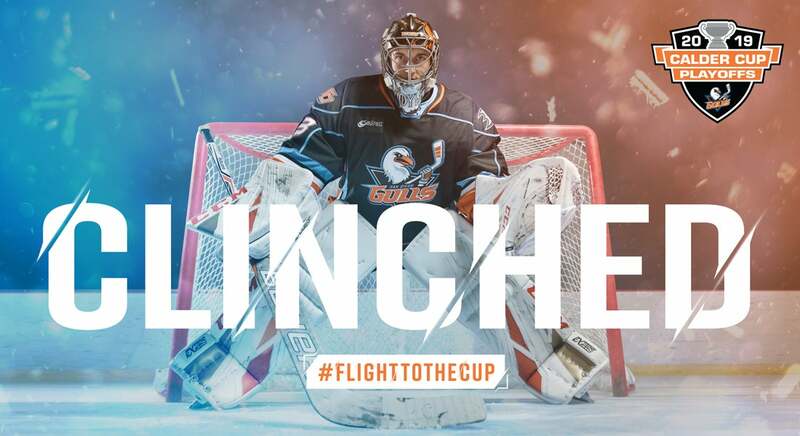 Forney has gone scoreless in three games with the Gulls this season. 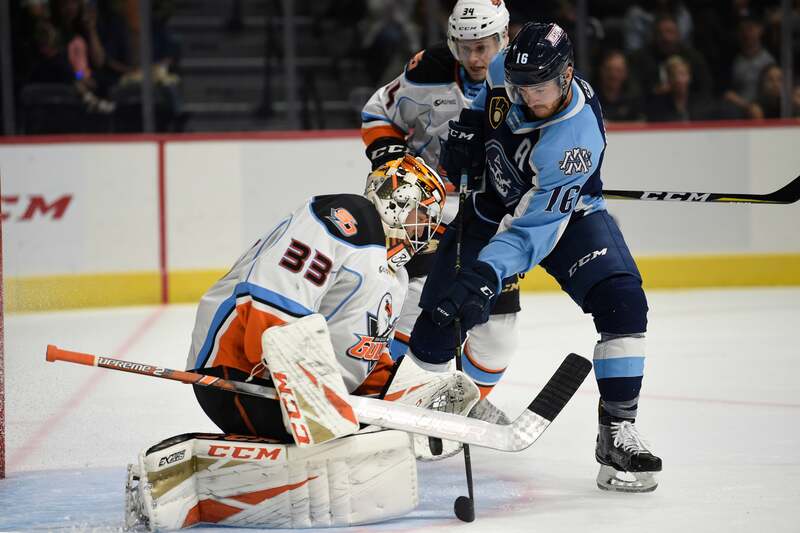 The Gulls open their 2019 calendar year home schedule with a nine-game point streak and four straight wins on the line. 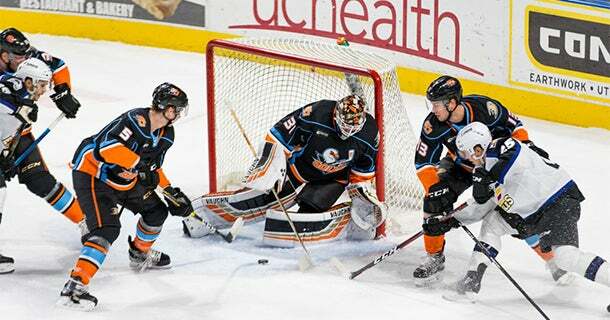 Thomas has gone scoreless in four games with San Antonio this season. 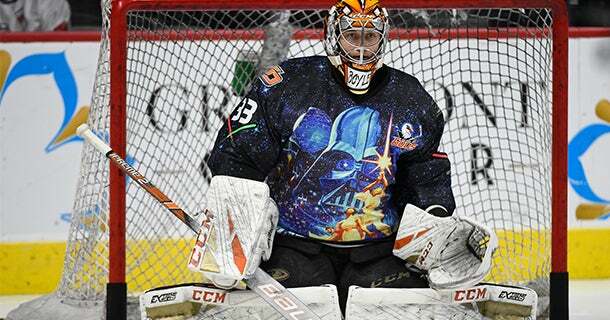 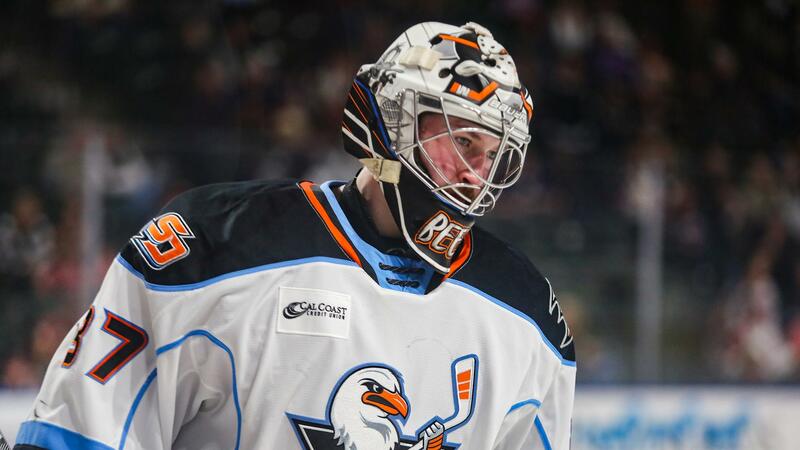 Coreau went 3-6-3 record in 13 games for San Diego of the American Hockey League (AHL) this season. Terry currently co-leads all AHL rookies in scoring (12-19=31), assists and game-winning goals (3) in 27 games, while he leads San Diego in points, assists and ranks second in goals. 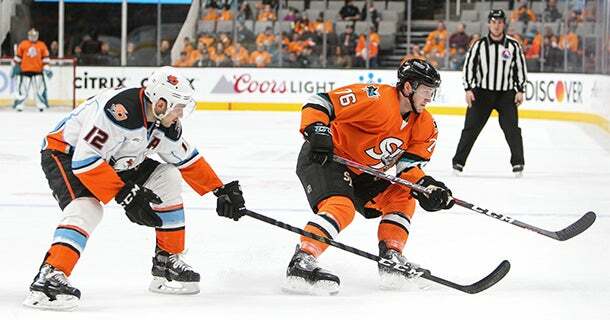 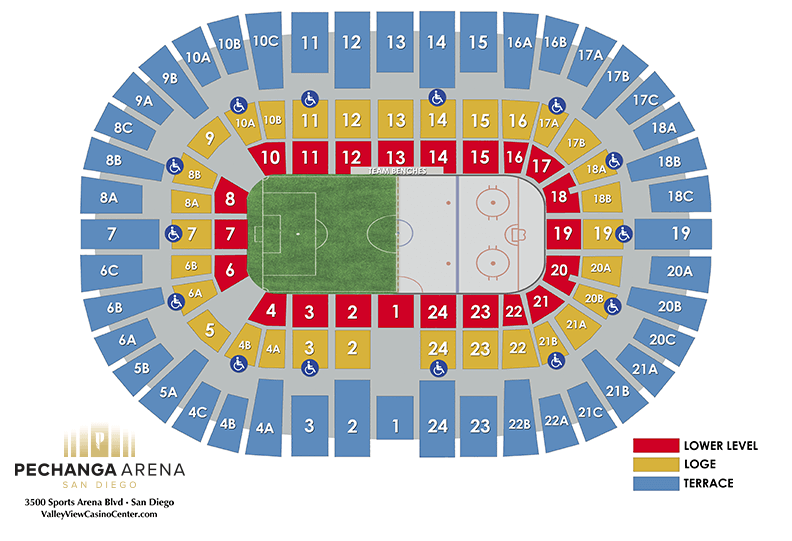 San Diego has won four of five contests in the 10-game season series, earning points in all five games (4-0-0-1). 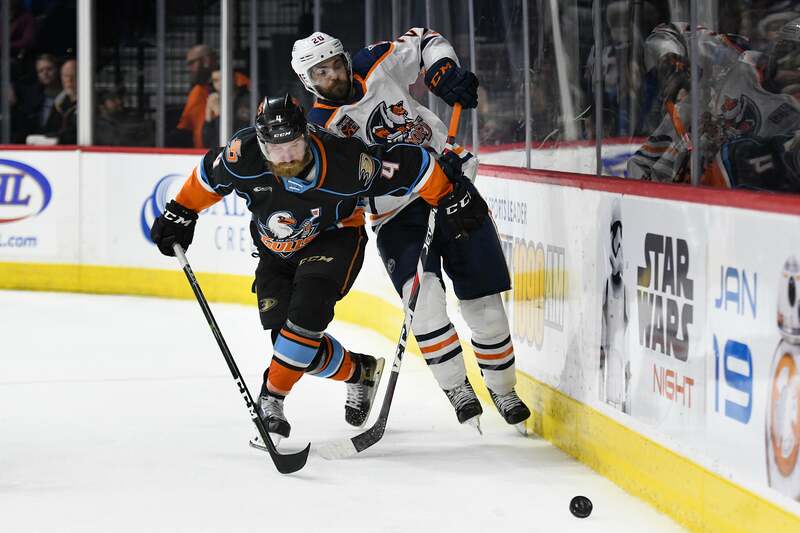 May scored 17-13=30 points with 24 penalty minutes (PIM) this season in 35 games with the Greenville Swamp Rabbits of the ECHL. 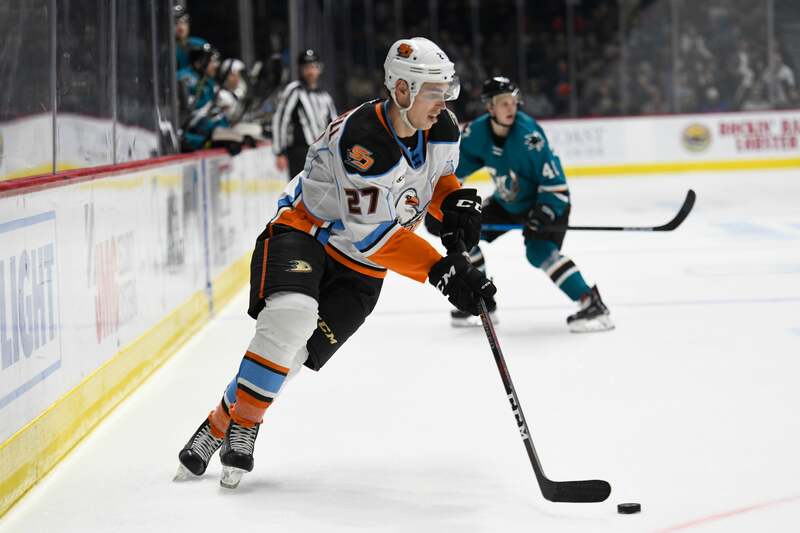 Gulls score five behind Max Jones' three-point night and highlight-reel goal, and extend the club's standings point streak to eight games overall (6-0-0-2). 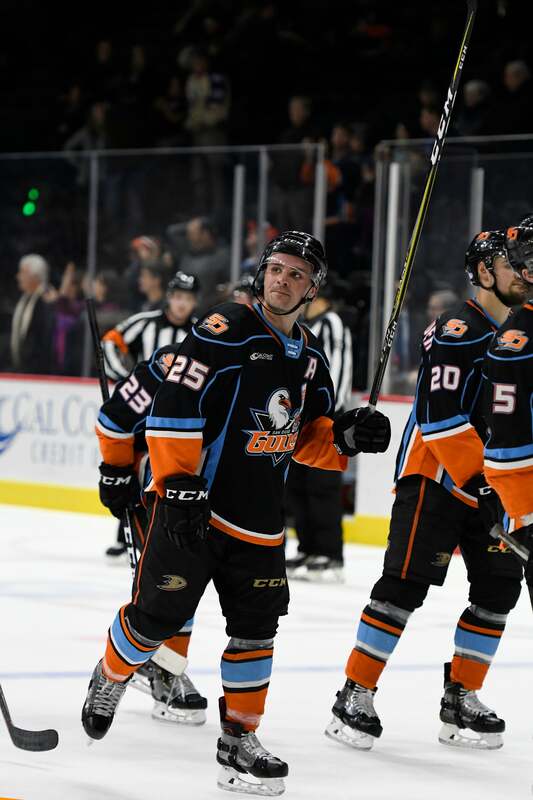 Trevor Murphy ties the game late in regulation, Troy Terry scored the overtime winning goal and Jeff Glass earned his first victory for San Diego as the Gulls win 3-2 over Bakersfield. 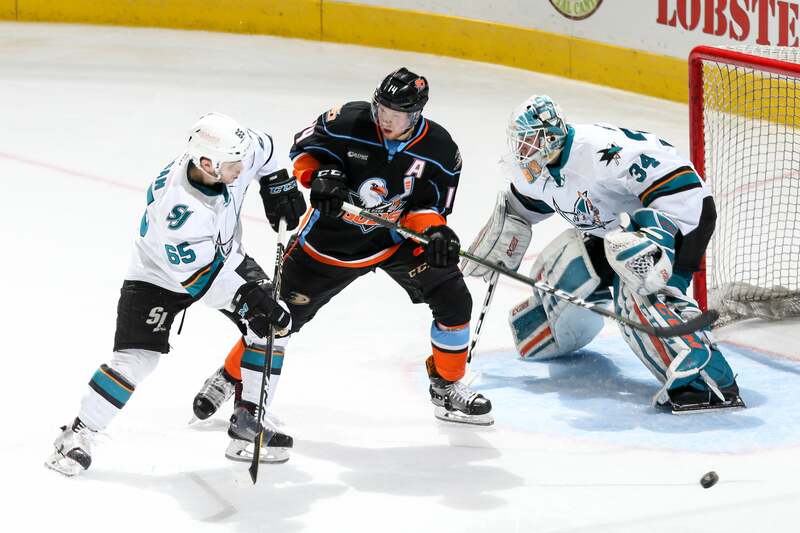 Sustr joins Gulls having earned one assist in 12 games for San Diego this season. 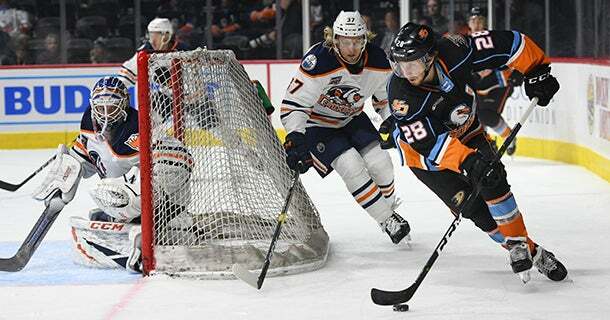 Tonight will mark the midway point of a 10-game season series between the Gulls and Condors. 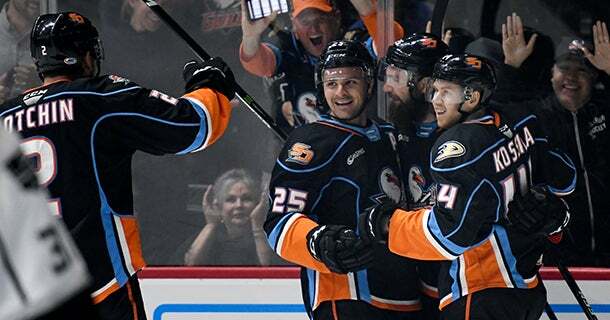 San Diego has collected points in all four games this season. 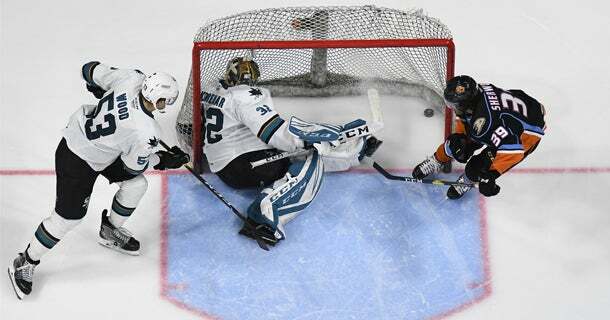 Boyle went 9-5-0 with a 3.13 goals-against average (GAA) and .900 save percentage (SV%) in 17 games this season with San Diego. 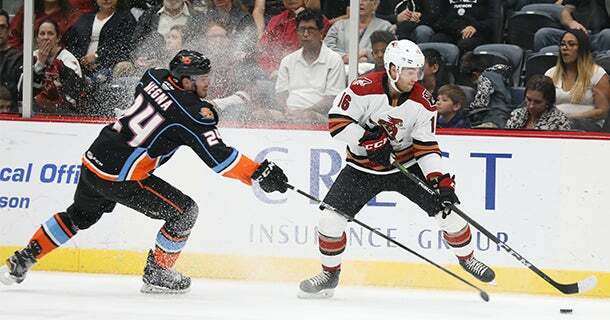 Murphy has played 220 career AHL games collecting 38-75=113 points with 228 penalty minutes (PIM). 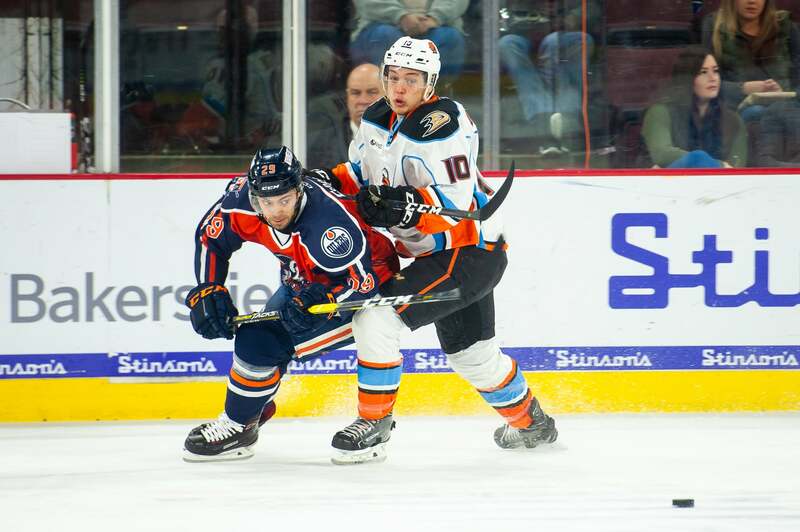 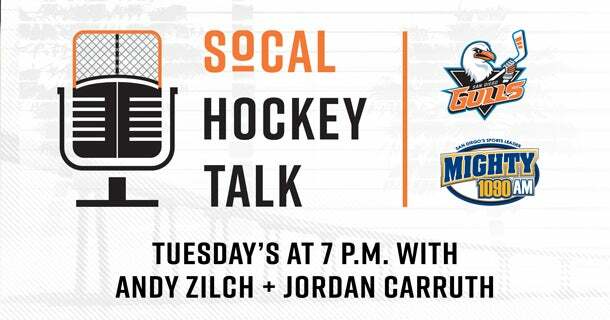 The Gulls conclude their 2018 calendar year home schedule tonight and begin a home-and-home matchup against the Bakersfield Condors at Pechanga Arena San Diego (7 p.m., Radio: Mighty 1090). 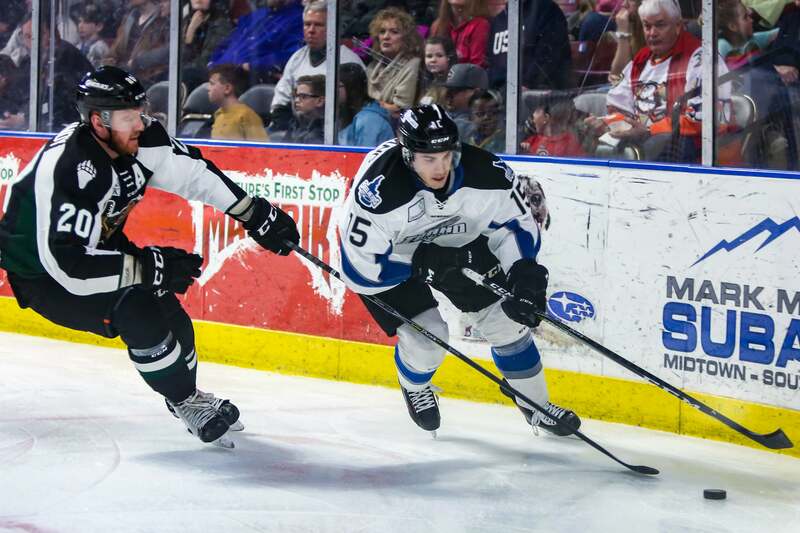 McParland scored 10-13=23 points with a +6 rating and 16 penalty minutes (PIM) in 28 games with the Idaho Steelheads this season. 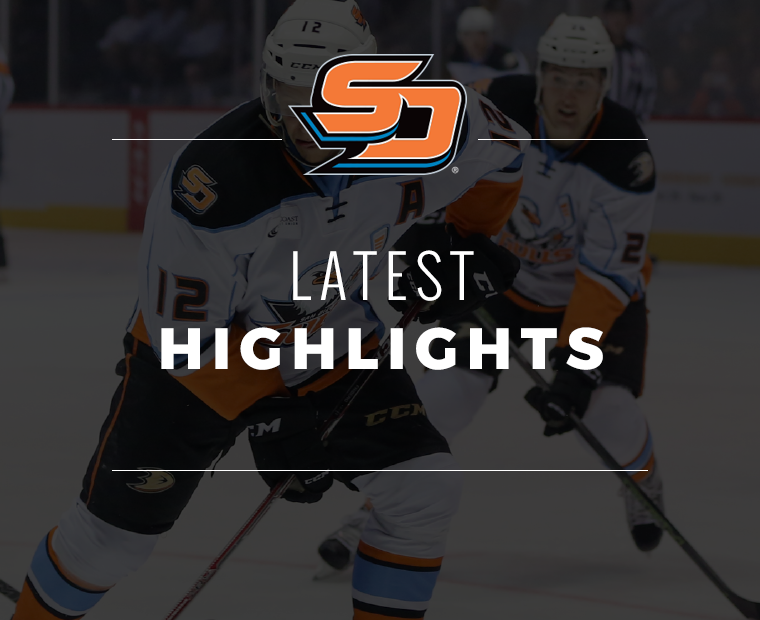 Marchment has earned one assist with seven penalty minutes in three contests with San Diego this season. 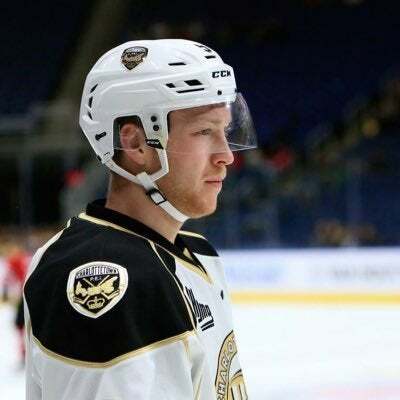 Berry suspended one game, to be served tomorrow; Tropp missed last game due to suspension and is eligible to return. 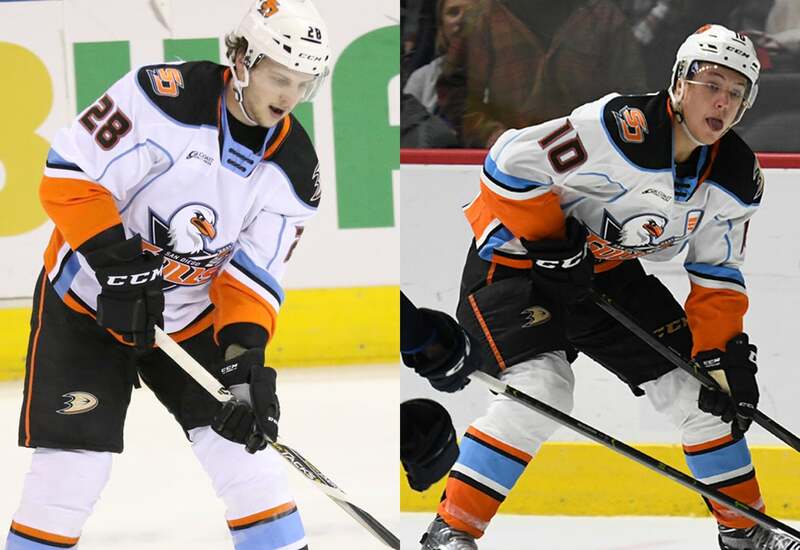 The Gulls will loan Jared Coreau and Adam Cracknell to Hockey Canada for the upcoming 2018 Spengler Cup to be held in Davos, Switzerland from Dec. 26-31, 2018. 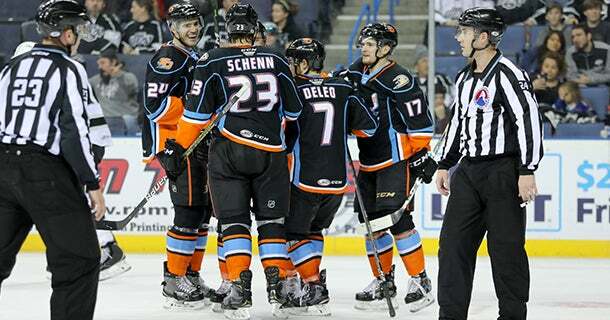 San Diego (9-11-1-2, 21 points) is coming off a 4-3 comeback win over San Jose. 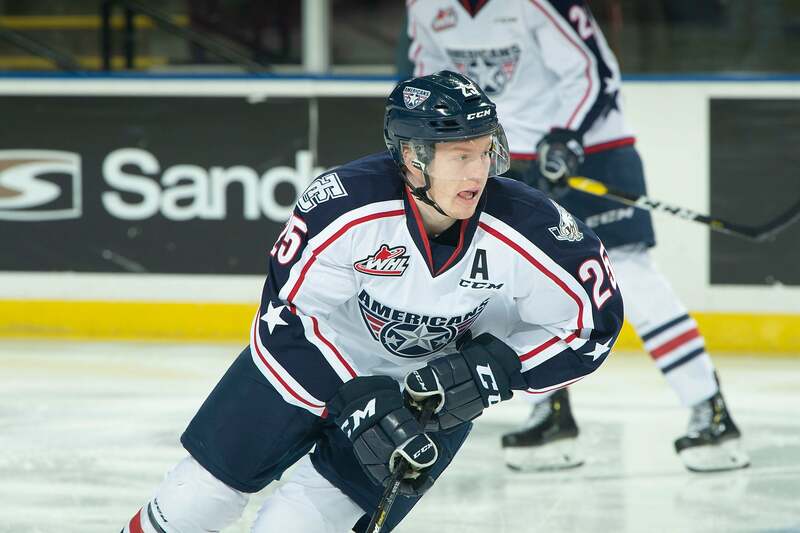 Lundestrom collected six assists (0-6=6) in 12 games with San Diego and was selected by Anaheim in the first round (23rd overall) of the 2018 NHL Draft. 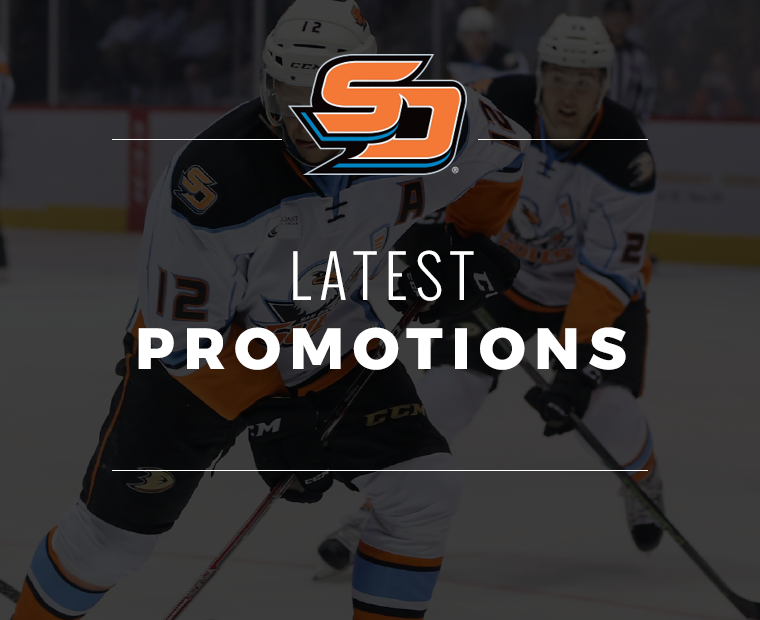 Moldenhauer has gone scoreless in two games with San Diego, including his AHL debut on Nov. 25 at Stockton. 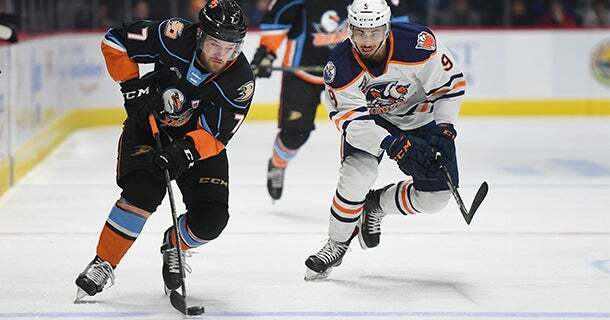 San Diego visits Bakersfield for the first time this season and the third of an eight-game season series. 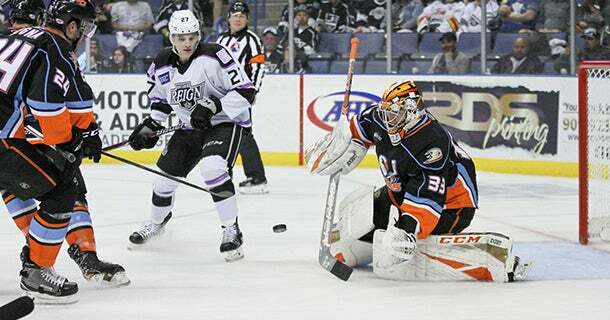 Redmond has posted a 1-3-0 record in seven appearances with the Reading Royals of the ECHL this season. 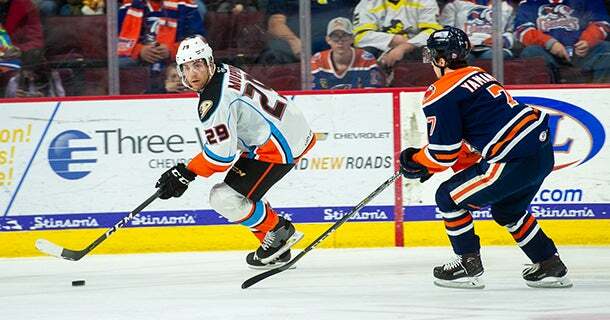 Mahura has earned an assist (0-1=1) along with a +2 rating in six games with Anaheim this season. 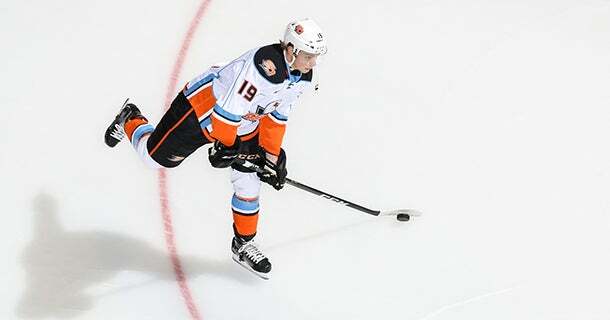 Cracknell has earned 21-22=43 points with a +4 rating in 208 career NHL games. 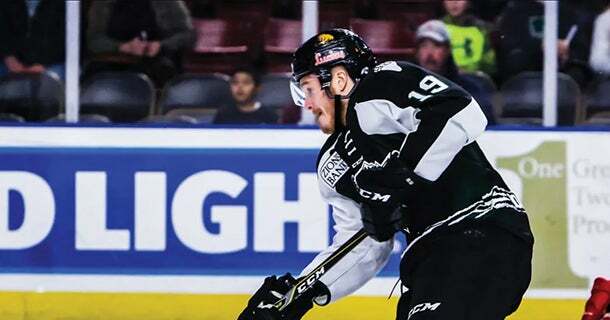 Sam Steel adapting to life of professional hockey following a prestigious junior career in Regina and with Team Canada. 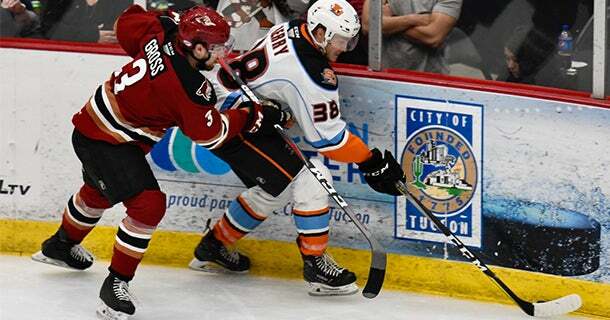 Berry joins San Diego after scoring 22 points in 20 games with the Utah Grizzlies of the ECHL. 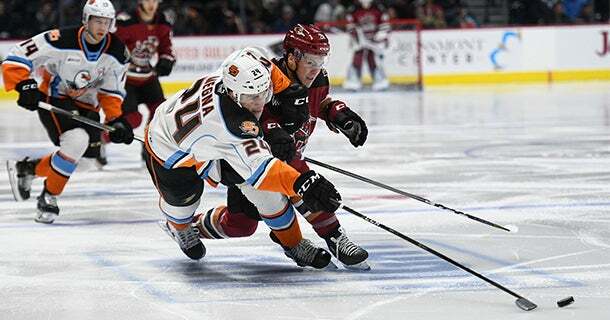 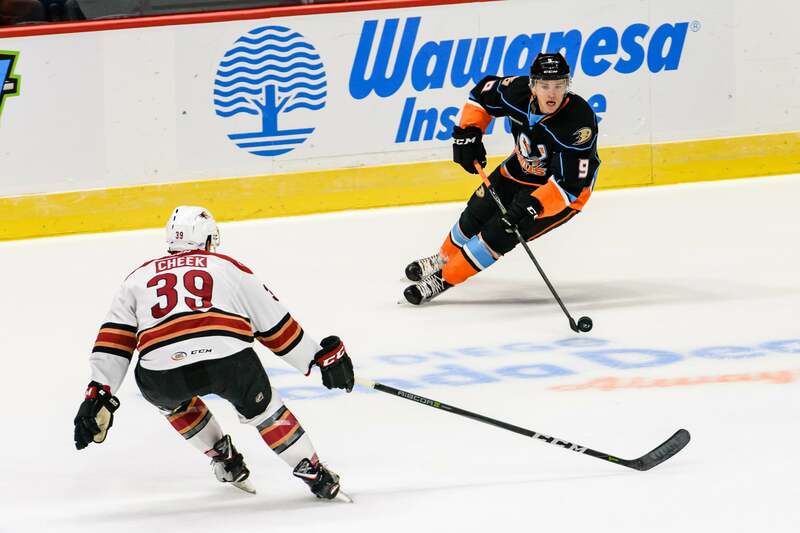 The Gulls fell to the Tucson Roadrunners in a 5-2 defeat at San Diego Sports Arena. 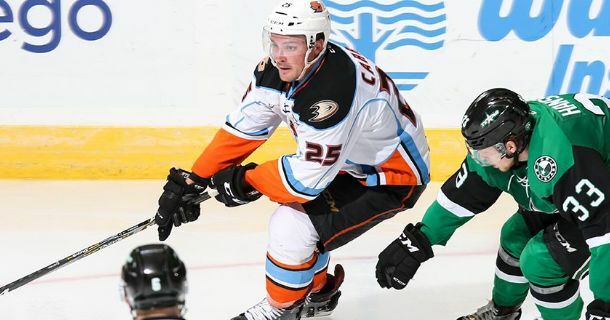 Gulls forward Sam Carrick has been suspended for three games as a consequence of an illegal check to the head of an opponent in a game vs. Manitoba on Nov. 30. 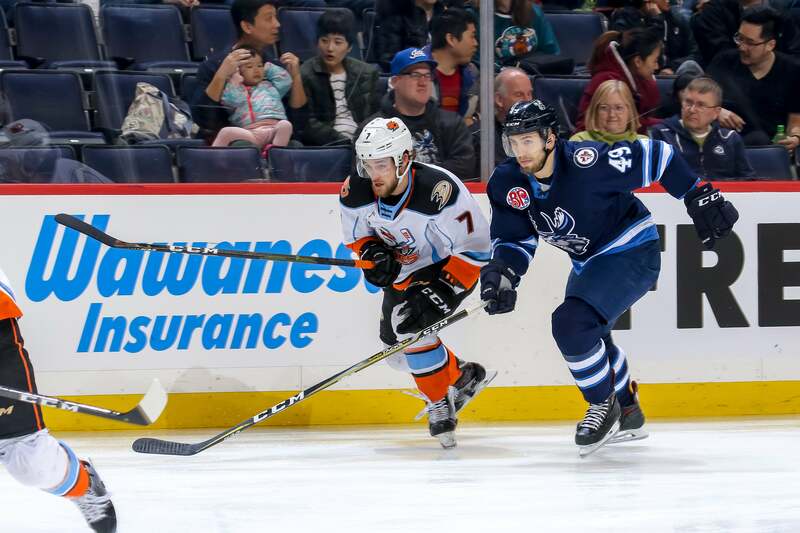 Logan Shaw's hat trick leads Manitoba Moose to 5-1 win over Gulls at Valley View Casino Center. 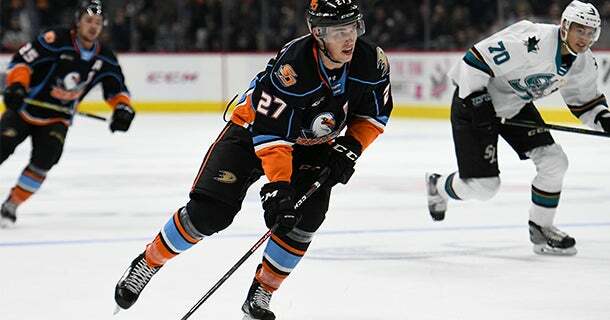 Ducks assign rookie defenseman Josh Mahura to San Diego, recall defensemen Andrej Sustr and Andrew Welinski to Anaheim. 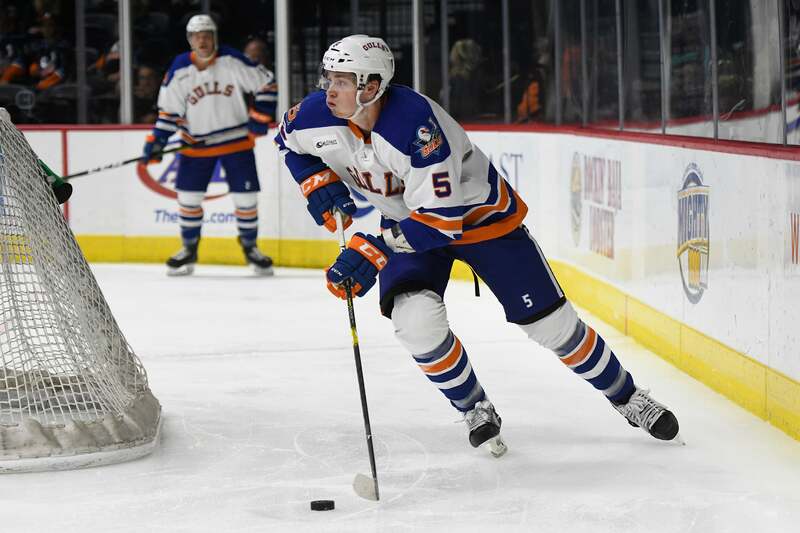 Moldenhauer began the season with Tulsa and collected six assists (0-6=6) with a +7 rating and seven penalty minutes (PIM) in nine games. 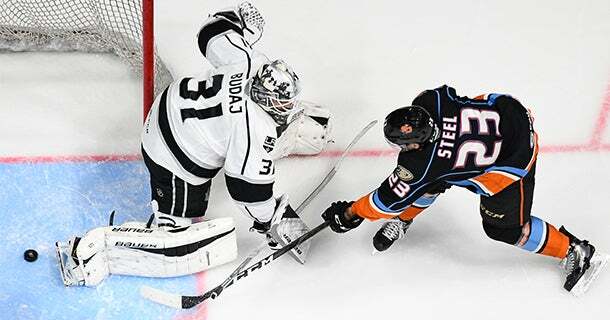 Boyle has gone 4-2-0 with a 2.87 goals-against average (GAA) and .920 save percentage (SV%) in seven games this season with San Diego. 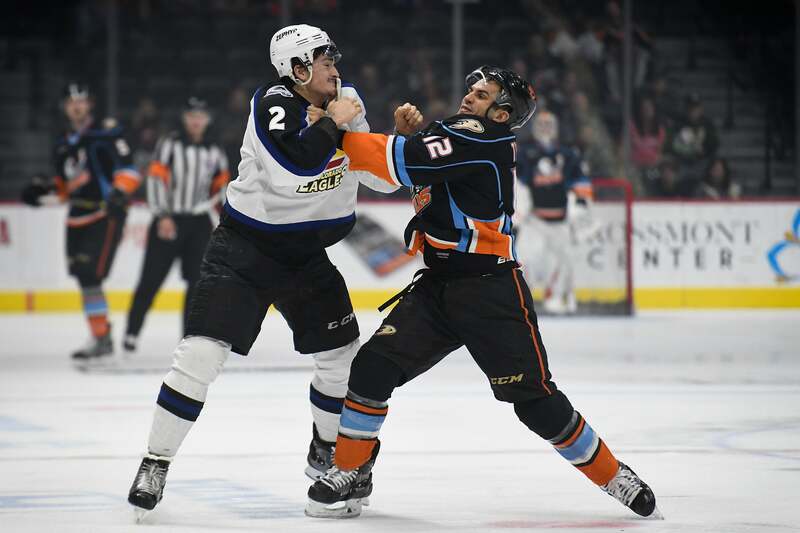 Forney has recorded 1-2=3 points with a +5 rating and four penalty minutes (PIM) in 13 games with ECHL Tulsa this season. 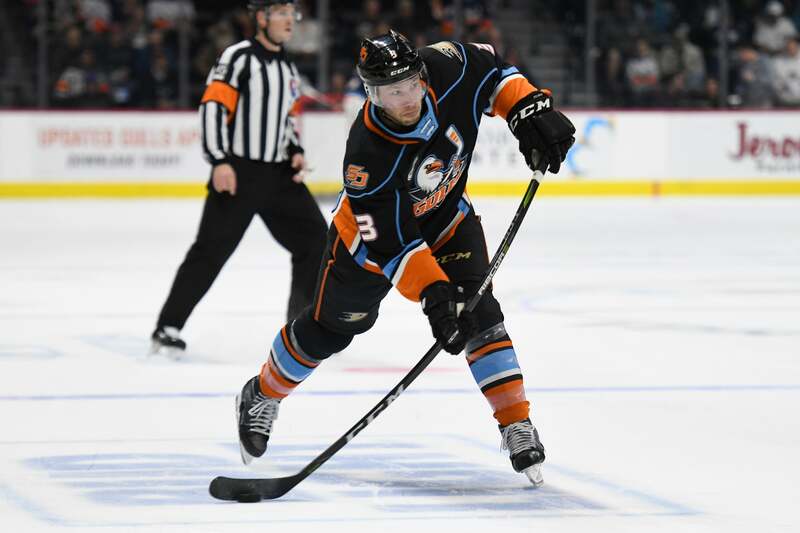 The Ducks recalled defensemen Josh Mahura and Jake Dotchin, and goaltender Kevin Boyle from San Diego, and assigned defenseman Luke Schenn to the Gulls. 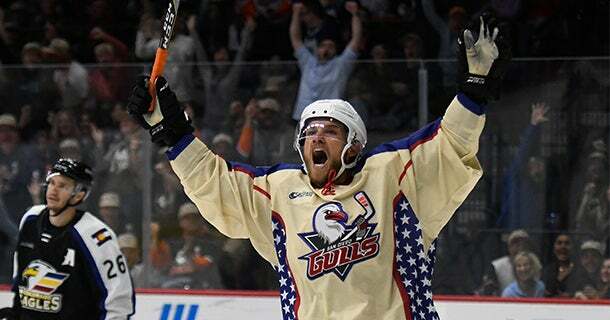 Gulls host Bakersfield Condors in night they honor Willie O'Ree following his induction to the Hockey Hall of Fame. 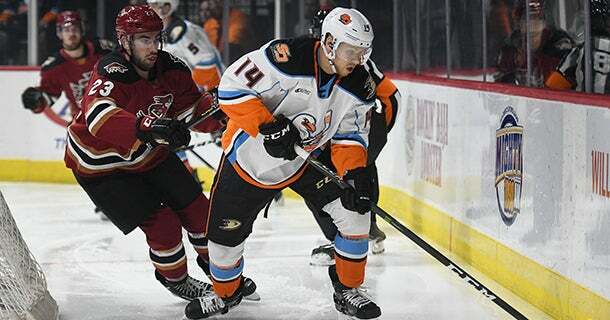 Carrick played three games for the Ducks this season, going scoreless with two penalty minutes (PIM). 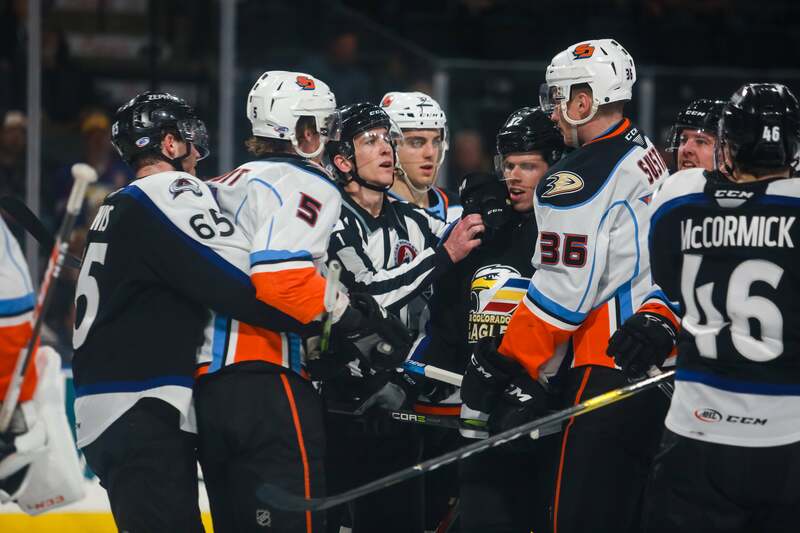 Carrick has appeared in three games for the Ducks this season, going scoreless with two penalty minutes (PIM). 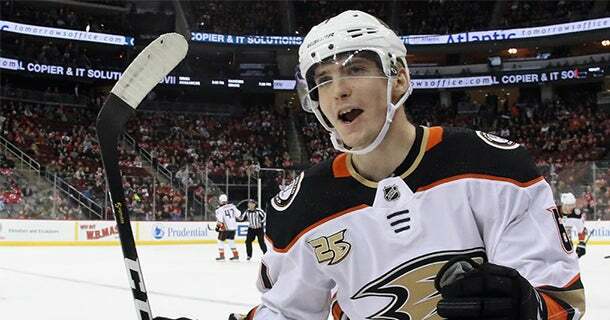 Welinski has appeared in 12 career NHL games with the Ducks since his NHL debut during the 2017-18 season, earning three assists (0-3=3) and two PIM. 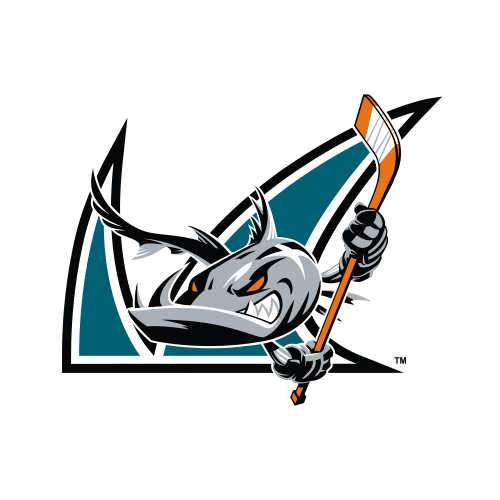 Willie O'Ree's speech at the 2018 Hockey Hall of Fame induction ceremony. 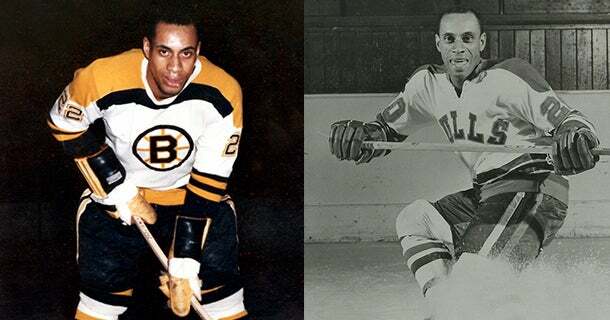 Willie O’Ree paved the way for many, including himself, in his journey to the Hockey Hall of Fame in 2018 as he is enshrined amongst the fellow greats in the builder category. 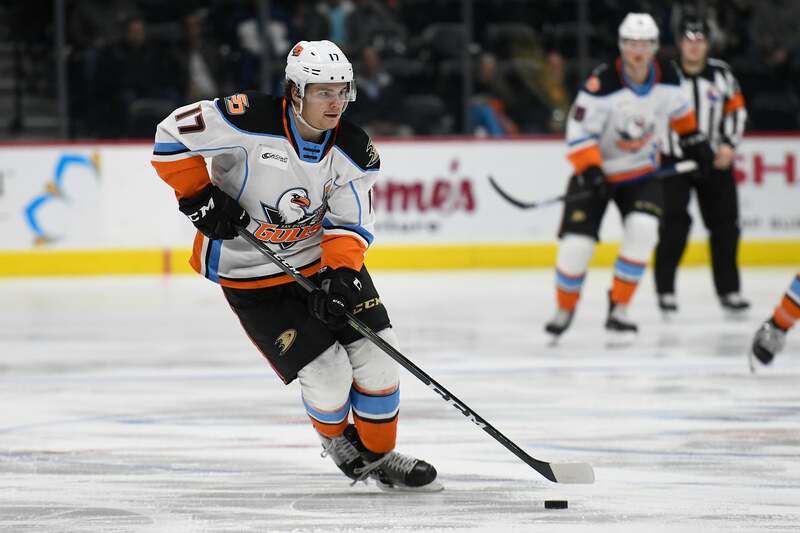 Ducks recall Kossila, assign 2018 first-round pick Isac Lundestrom to San Diego. 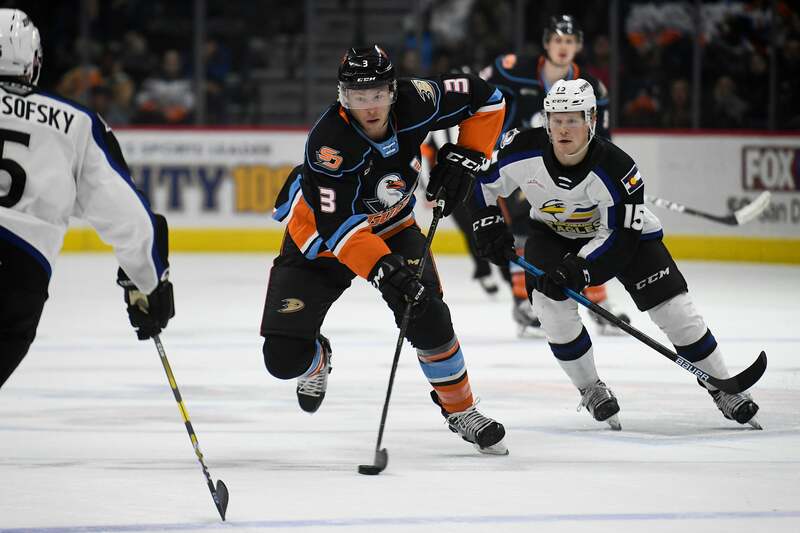 Max Comtois, Max Jones and Troy Terry score to lead Gulls in a 3-2 win over Colorado Eagles for second straight night. 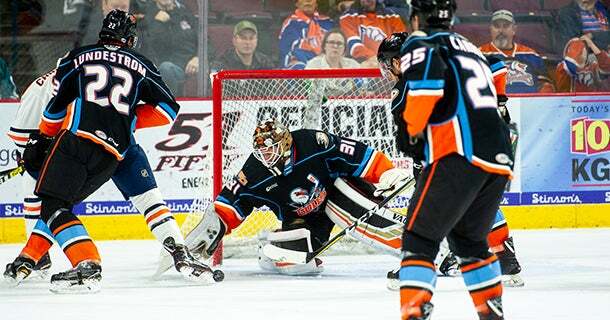 Kevin Boyle stopped 41-of-43 shots en route to his second win in as many nights. 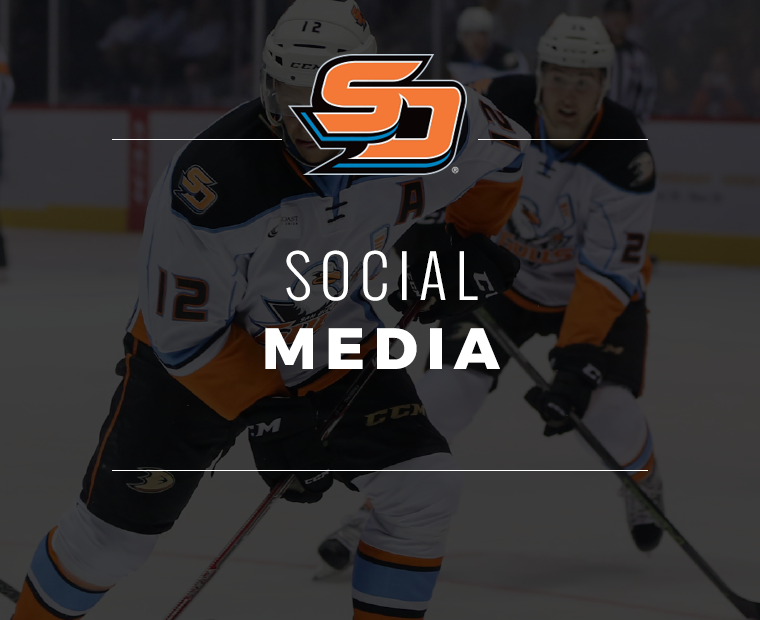 Both Carrick and Welinski are expected in tonight's lineup. The Gulls will honor the U.S. Armed Forces with Military Weekend No.v 9-10 vs. the Colorado Eagles to pay tribute to local military members and their families, and raise awareness and funds for local military nonprofit organizations. 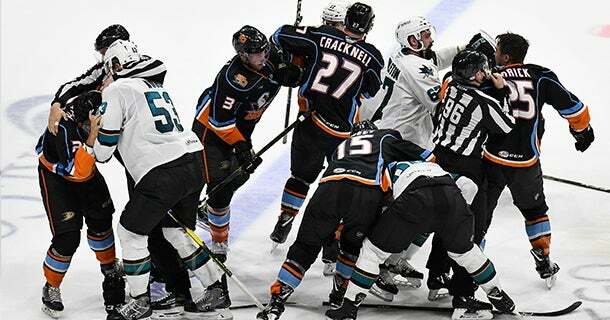 The fourth meeting in the past 31 days for the Gulls and Roadrunners. 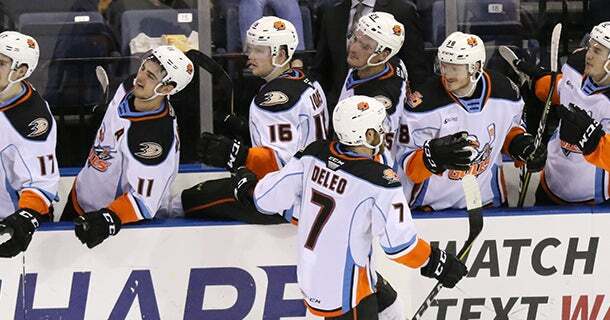 De Leo has earned (47G, 65A) 112 points in 219 career AHL games with San Diego and Manitoba. 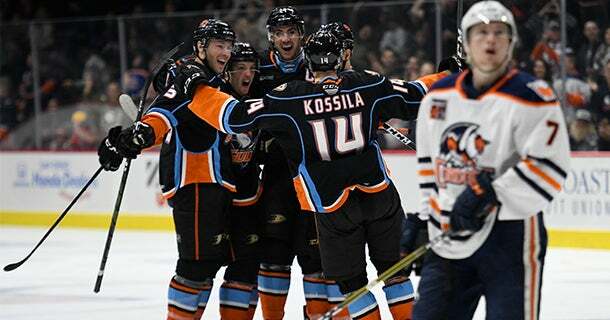 Kossila made his NHL season debut on Nov. 1 vs. the New York Rangers. 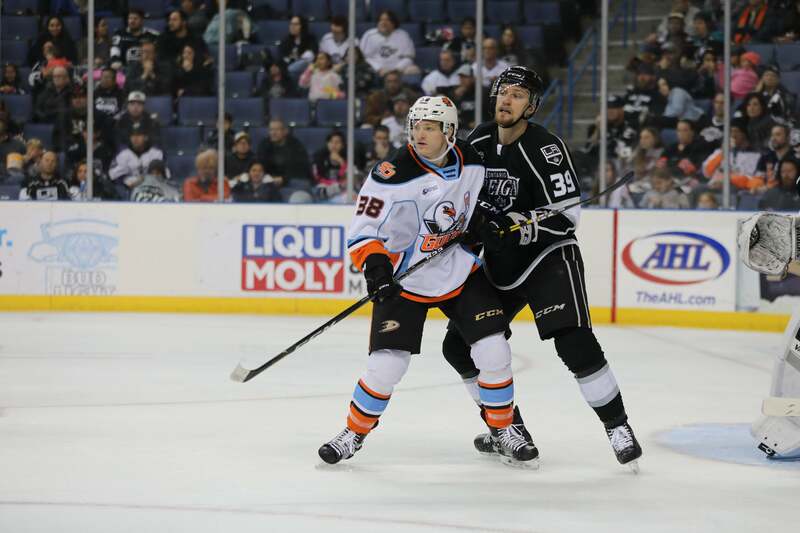 San Diego begins a brief, two-game road trip tonight at the Ontario Reign at Citizens Business Bank Arena. 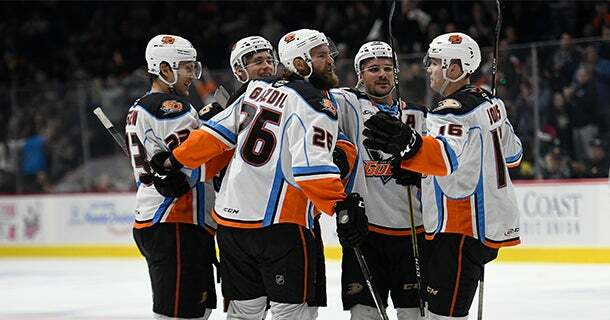 The Gulls currently have a five-game standings point streak (3-0-1-1, eight points). 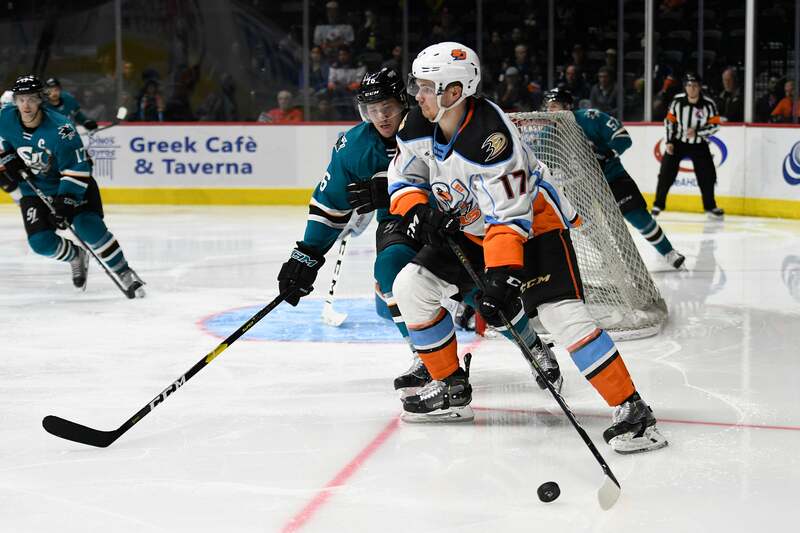 Troy Terry honing his all-around game for the San Diego Gulls is the definition of development: the act or process of growth. 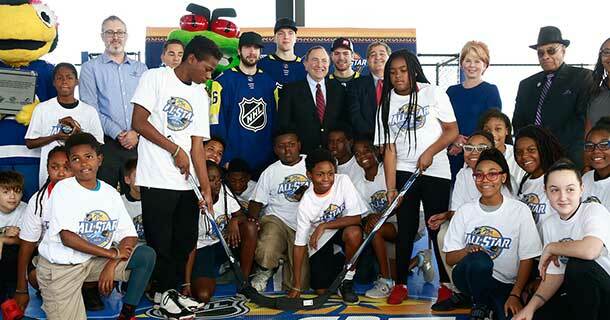 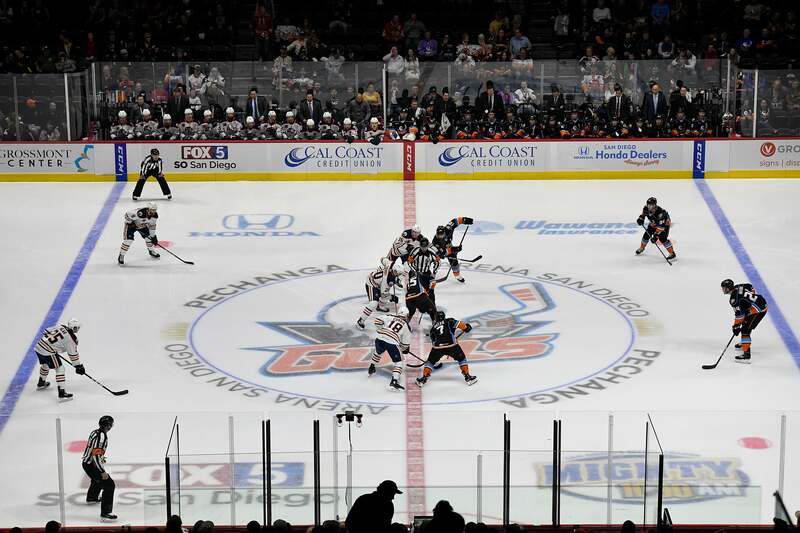 AHL joins the NHL and the NHLPA for their Hockey Fights Cancer™ initiative, which begins today. 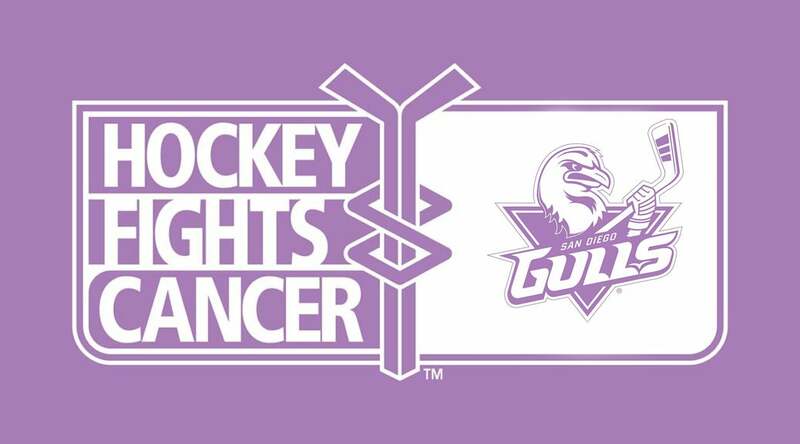 Gulls host Hockey Fights Cancer Night Nov. 23. 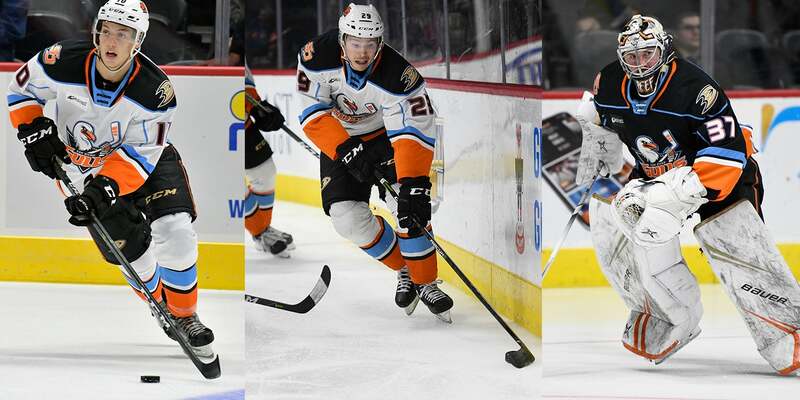 The Anaheim Ducks recalled Kalle Kossila and Kiefer Sherwood from the Gulls, and assigned centers Sam Steel and Joseph Blandisi to San Diego. 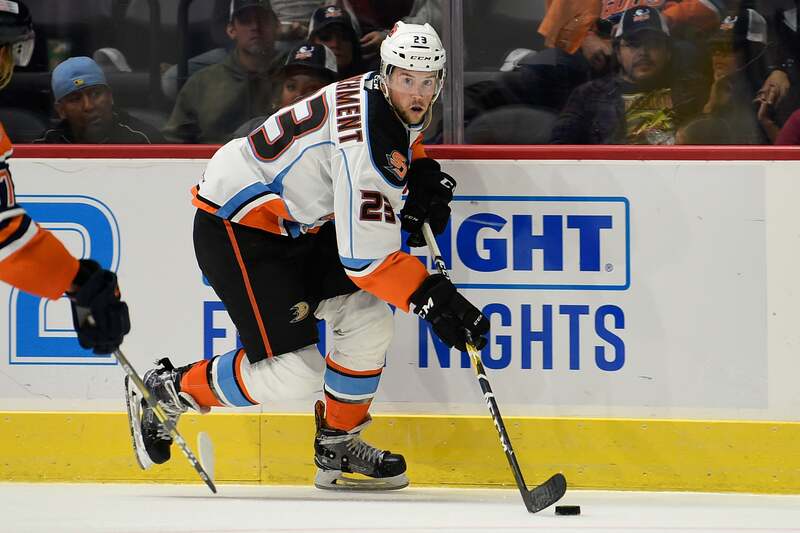 Ducks recall defenseman Marcus Pettersson, reassign right wing Kiefer Sherwood to San Diego. 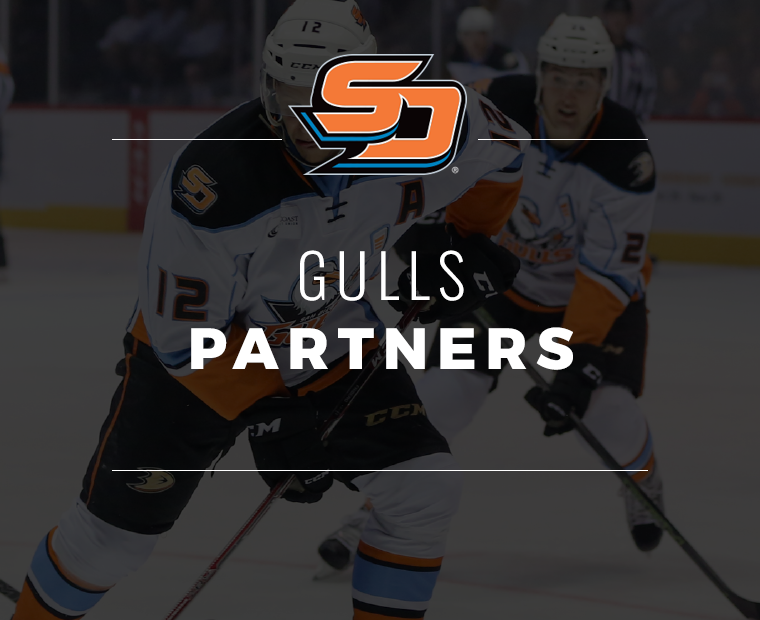 Gulls Announce Two Roster Moves: Soy to ECHL Tulsa, Marchment released from professional tryout. 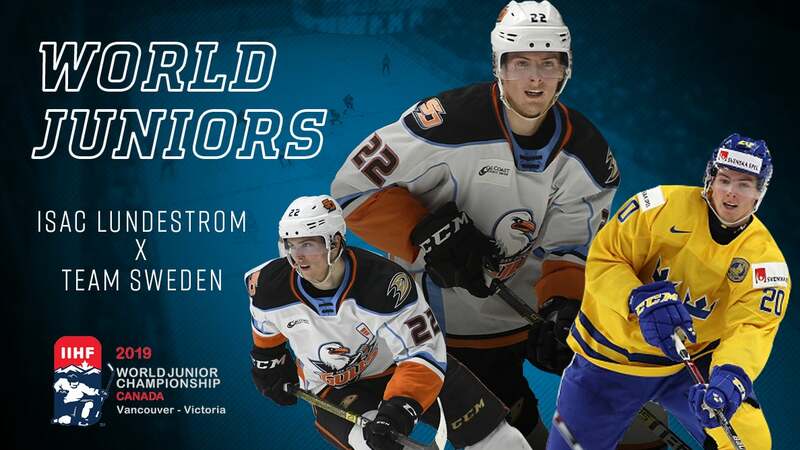 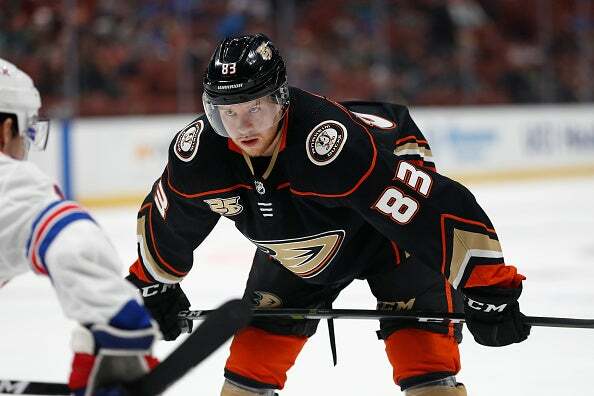 Ducks recall Larsson and Welinski, assign Pettersson and Sustr to San Diego. 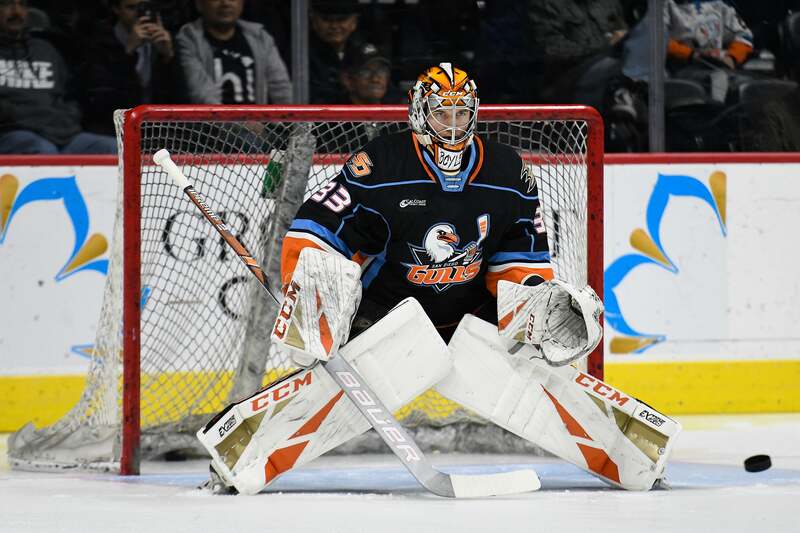 Gulls down Condors with a 5-4 victory behind Jared Coreau's 45-save performance and multi-point games from Corey Tropp, Troy Terry, Max Jones and Sam Carrick. 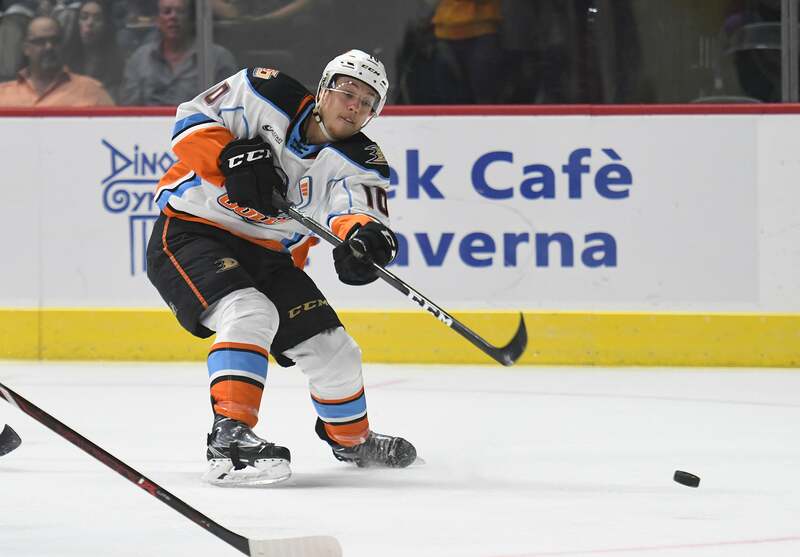 Troy Terry scores two goals and adds an assist in his AHL debut to lead Gulls to 4-2 win over Milwaukee at Valley View Casino Center. 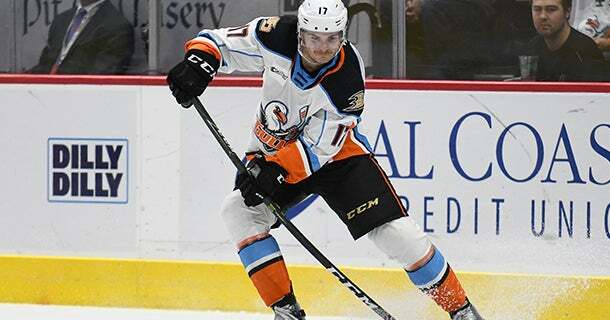 Anaheim Ducsk trade cener Mitch Hults to the Tampa Bay Lightning in exchange for future considerations. 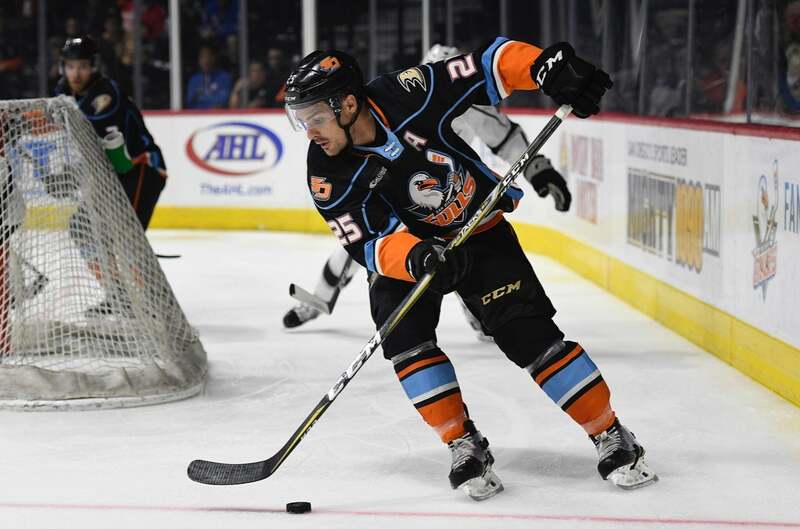 Hults recorded 11-18=29 points in 61 career AHL games with San Diego. 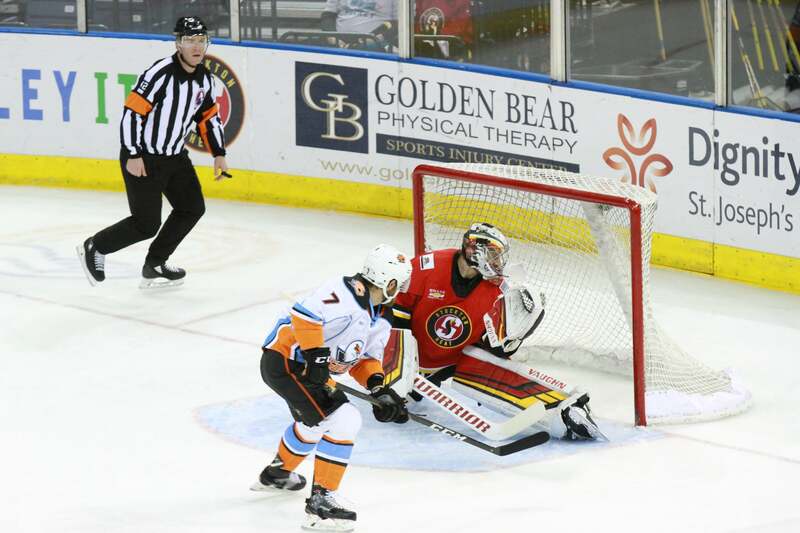 Blandisi joins Anaheim after scoring two points (0-2=2) in three games with San Diego to begin the season. 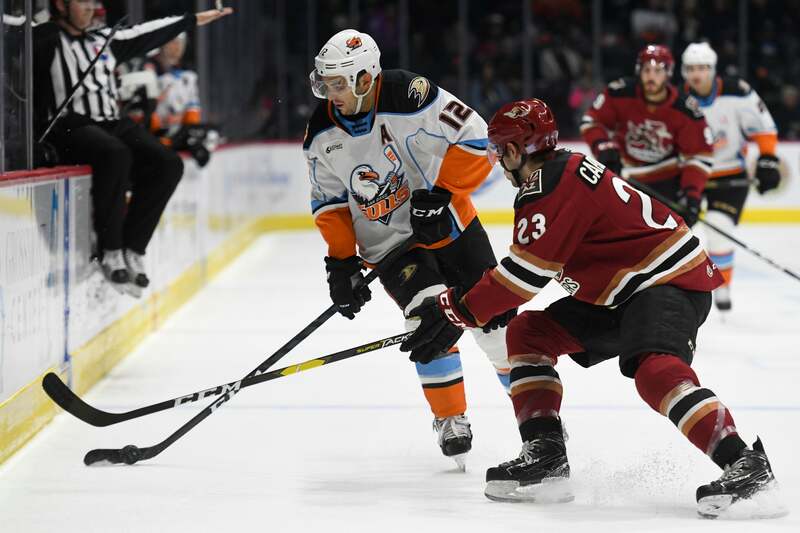 Gulls fall 3-2 to Tucson in 2018-19 home opener in front of 12,467 fans at Valley View Casino Center. 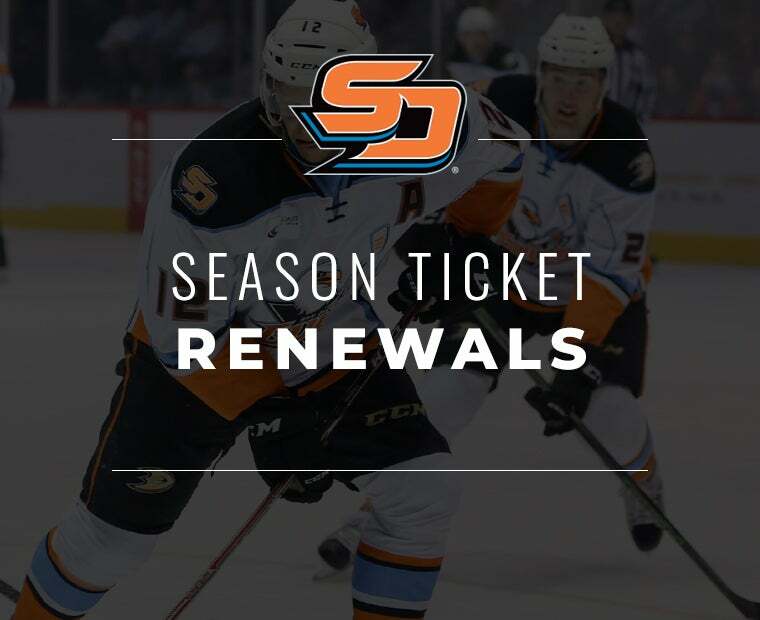 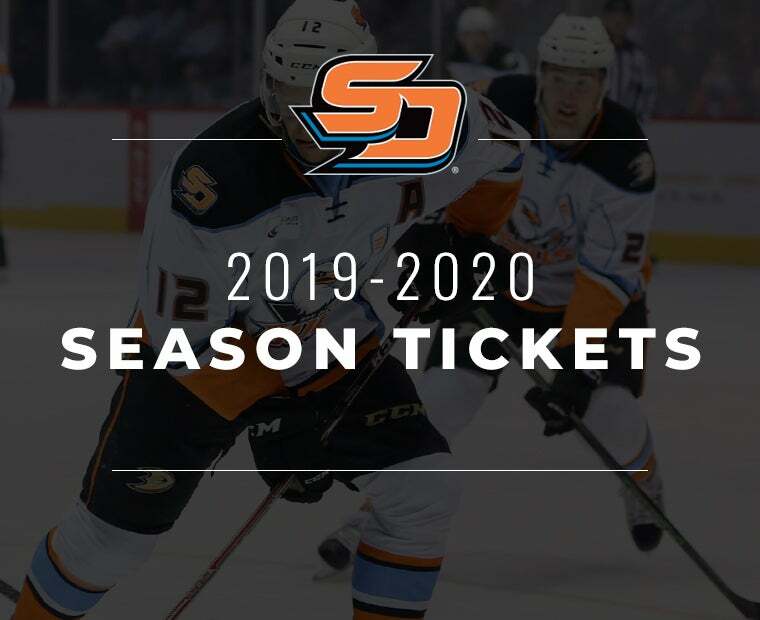 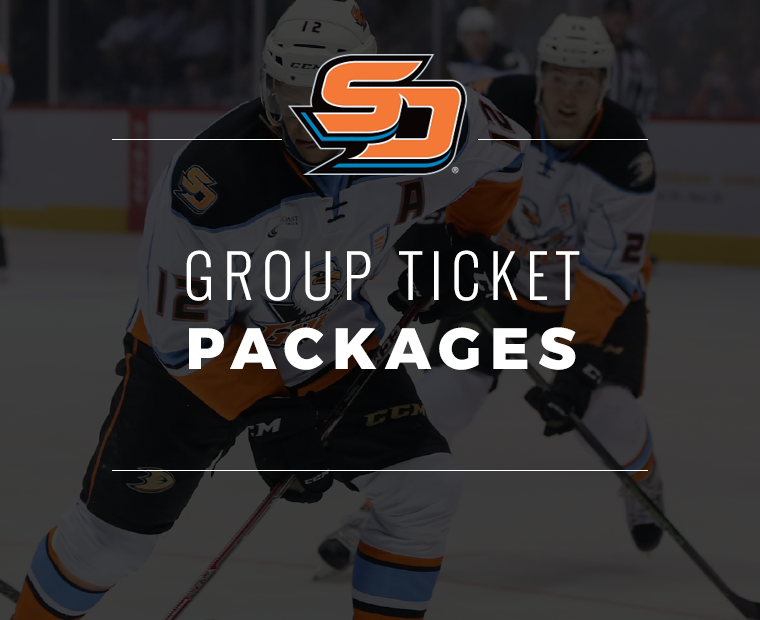 Gulls open 2018-19 home schedule with cowbell giveaway for expect sellout crowd as they host the Tucson Roadrunners in the Home Opener at the Sports Arena. 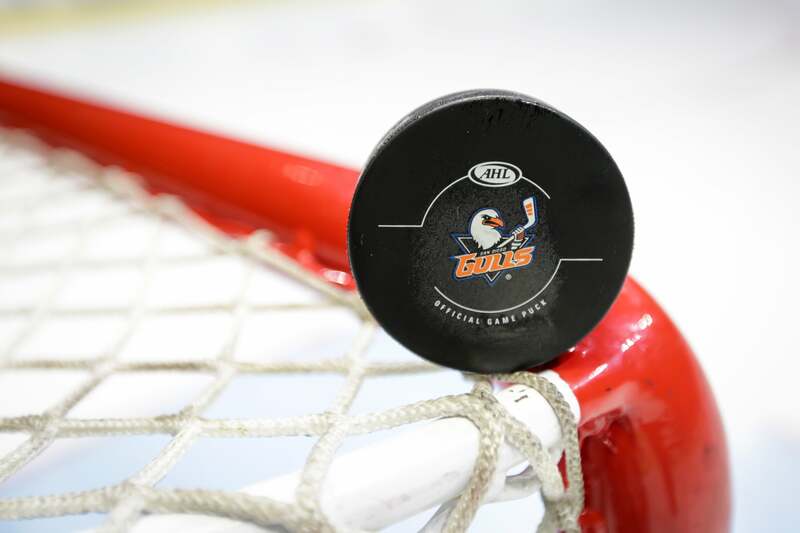 Right wing Peter Sivak and left wing Ryan Tesink join Gulls prior to season-opening game at Tucson. 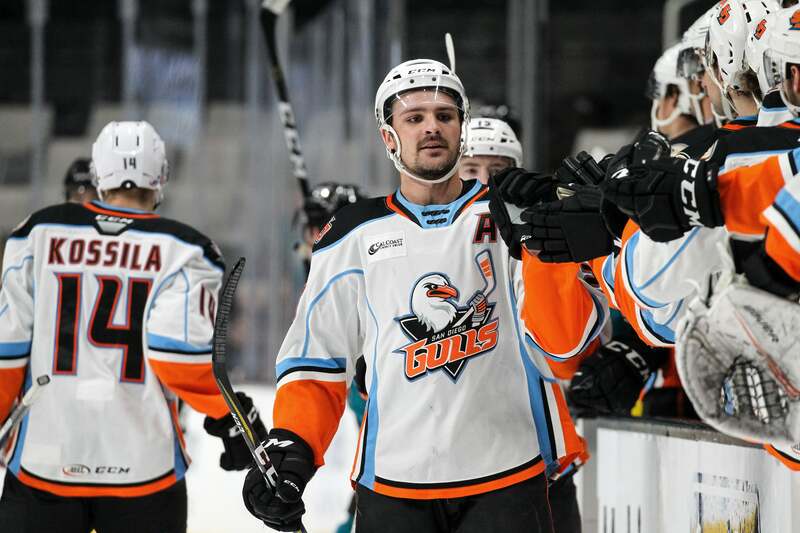 Megna named the second captain in Gulls history. 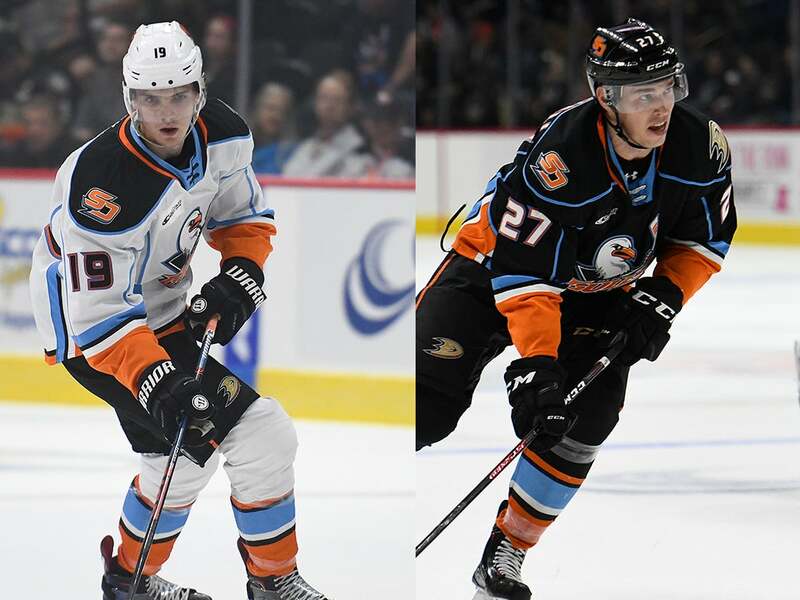 Oleksy, Carrick, Tropp and Blandisi named alternate captains. 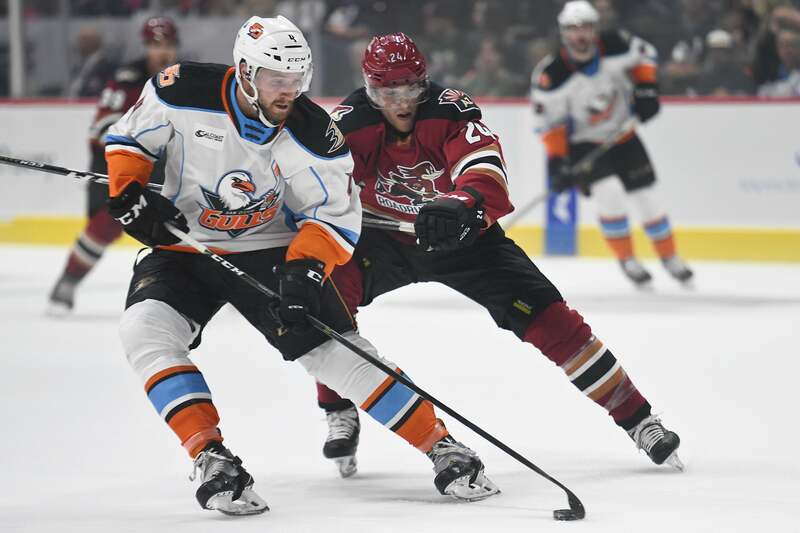 Gulls kick off fourth AHL season with visit to Tucson Arena where last season abruptly ended. 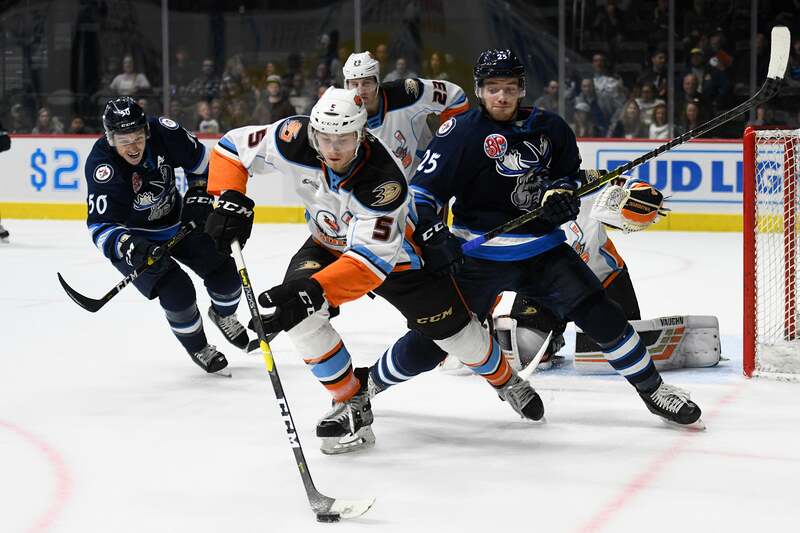 The Gulls concluded the 2018 preseason with a 4-3 loss to the Ontario Reign in front of 9,324 fans at Honda Center. 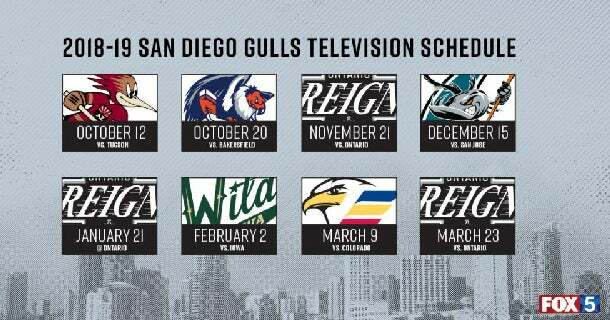 Eight regular-season Gulls games to be televised regionally by FOX 5 San Diego during the 2018-19 season. 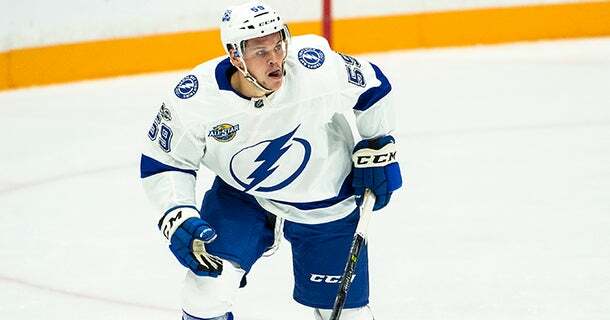 Lundestrom was 23rd overall pick from 2018 NHL Draft, signed to a three-year entry-level contract. 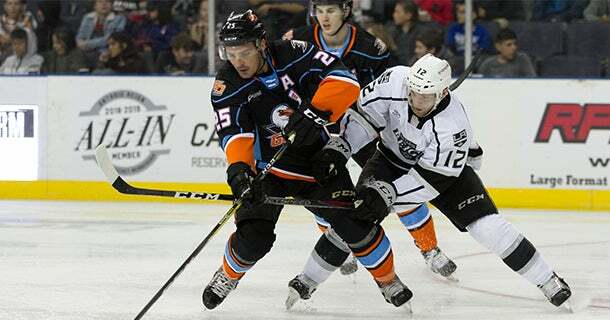 The Gulls have signed right wing Corey Tropp to a one-year contract through the 2018-19 AHL season. 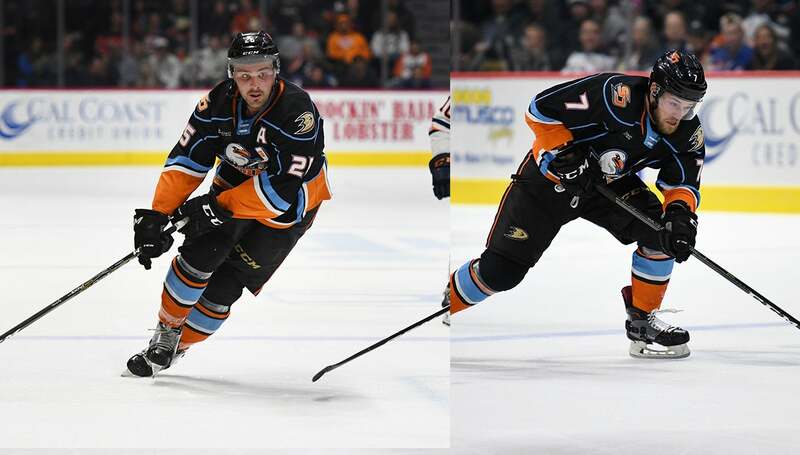 The Anaheim Ducks have signed center Kalle Kossila, left wing Kevin Roy and defenseman Andy Welinski to one-year, two-way contracts through the 2018-19 NHL season. 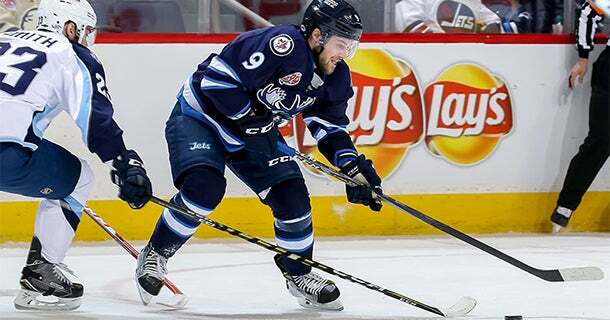 The Anaheim Ducks have acquired center Chase De Leo from the Winnipeg Jets in exchange for left wing Nic Kerdiles. 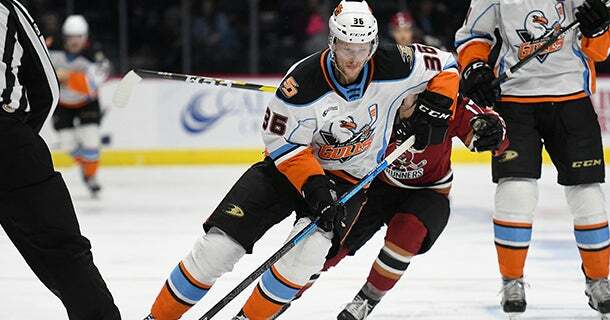 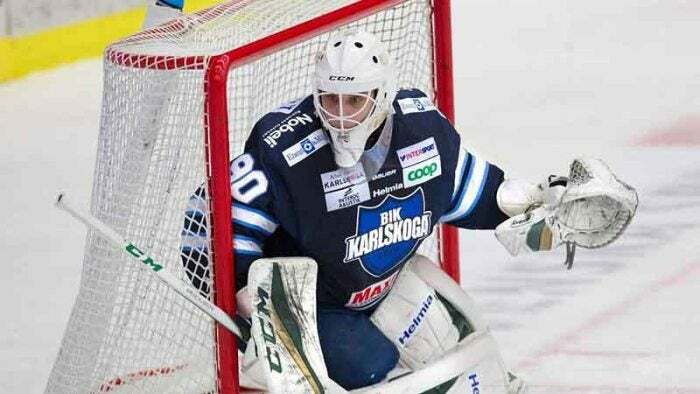 The Anaheim Ducks selected center Isac Lundestrom with the 23rd overall pick in the 2018 NHL Draft at the American Airlines Center in Dallas, TX. 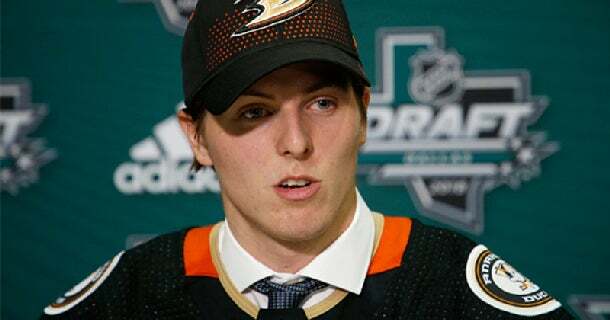 The draft resumes tomorrow beginning at 8 a.m. PT. 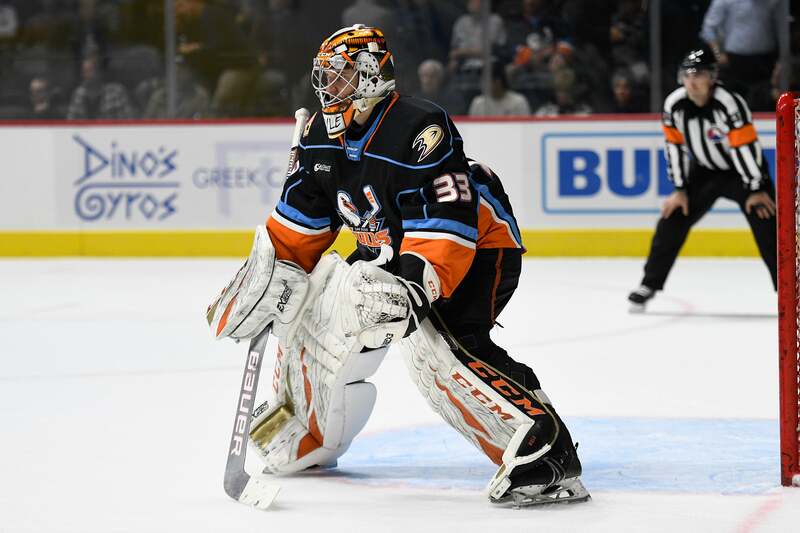 The Anaheim Ducks have signed goaltender Kevin Boyle to a two-year, two-way contract extension through the 2019-20 season. 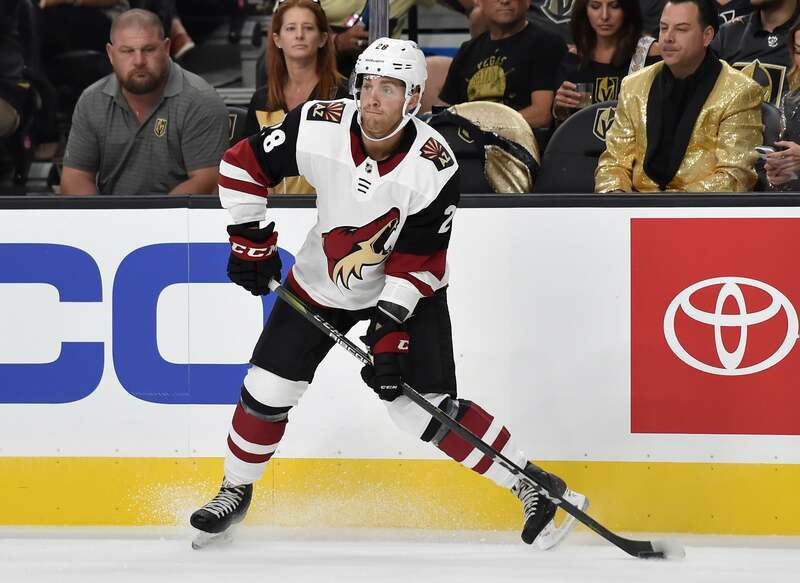 Per club policy, financial terms of the deal were not disclosed. 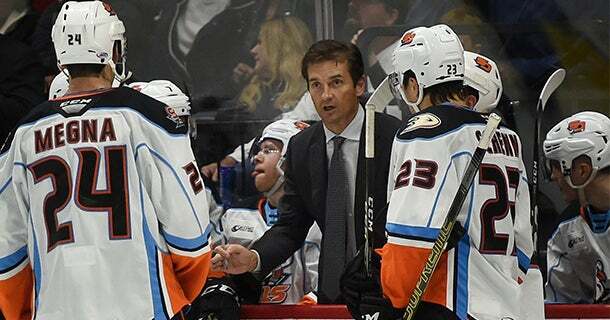 The Anaheim Ducks have named Marty Wilford as assistant coach. 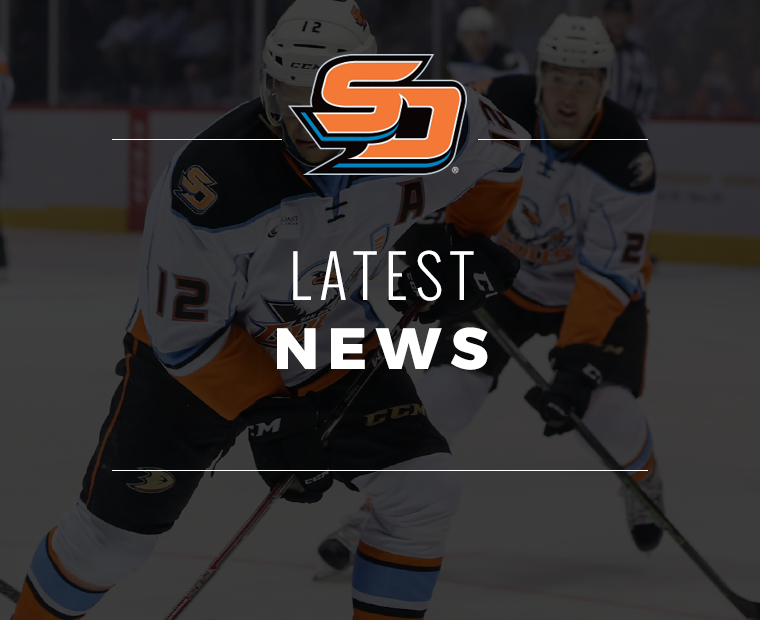 Wilford joins Head Coach Randy Carlyle, Assistant Coaches Steve Konowalchuck, Mark Morrison and Rich Preston, and Goaltending Coach Sudarshan Maharaj on the Ducks coaching staff.